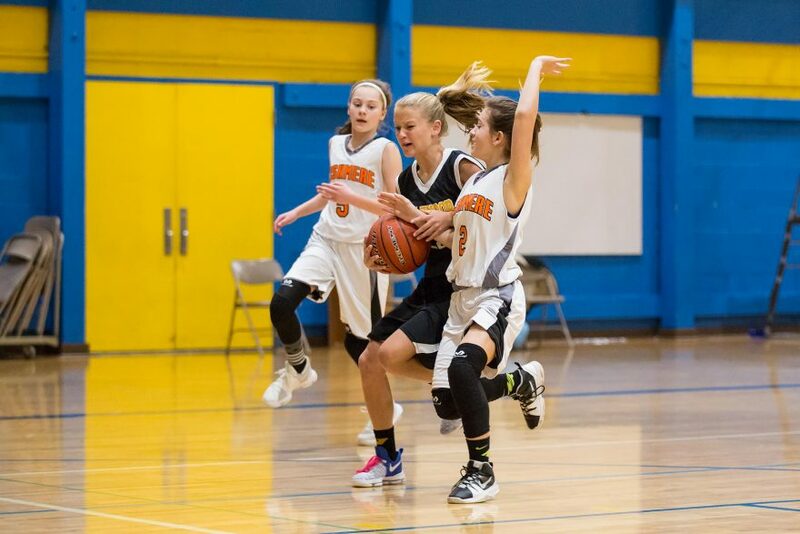 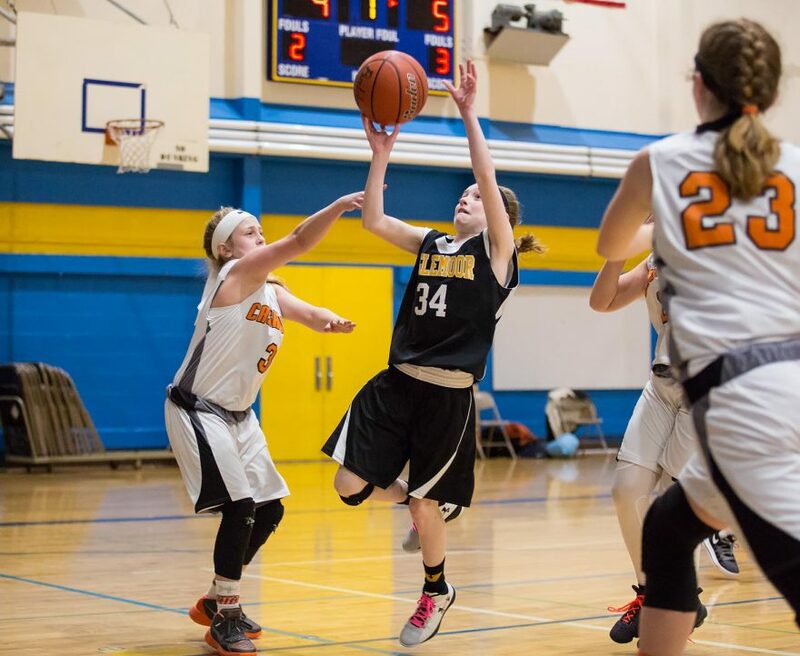 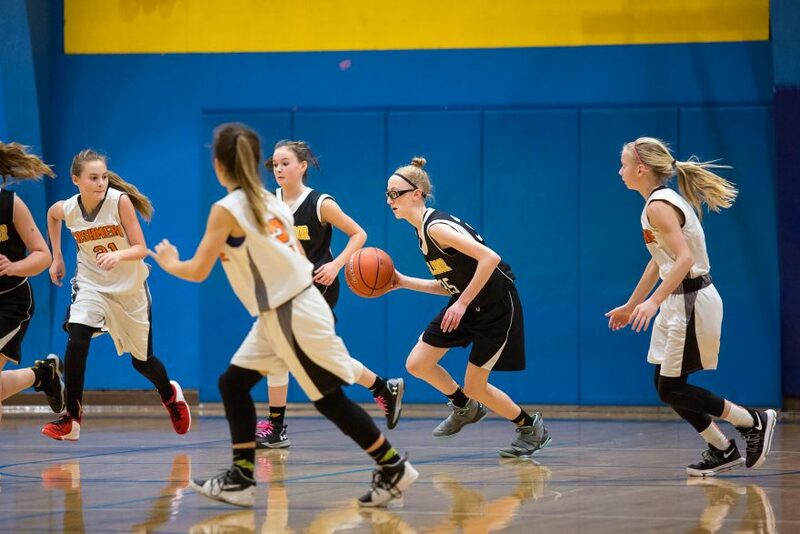 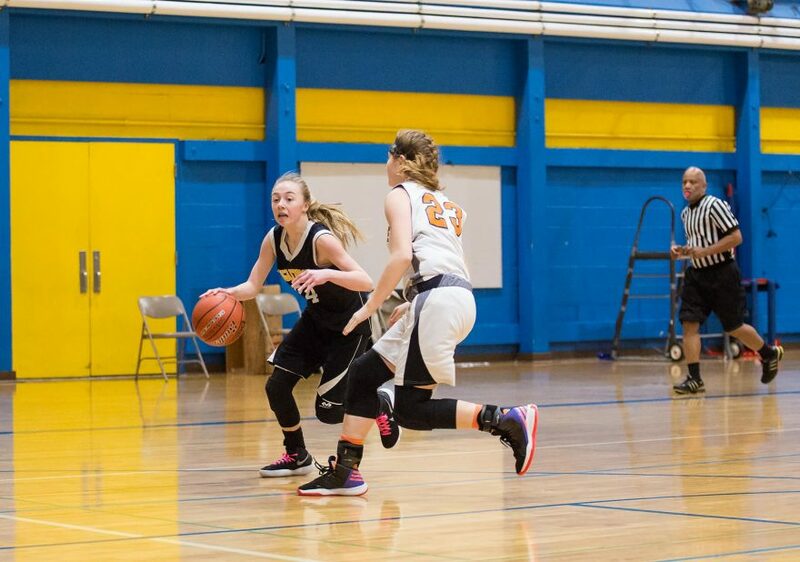 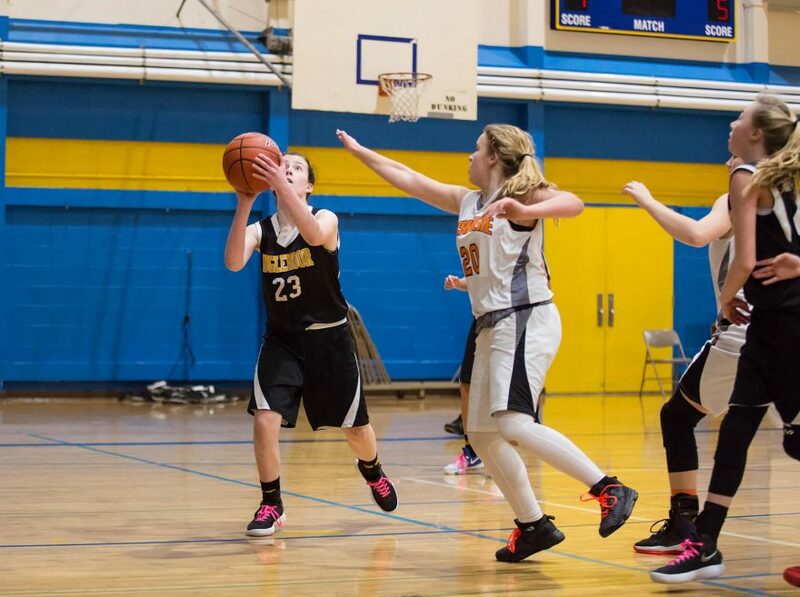 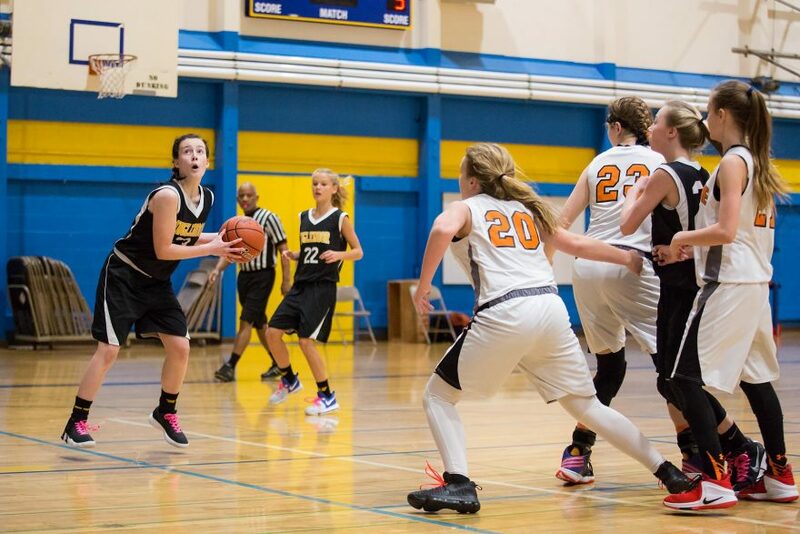 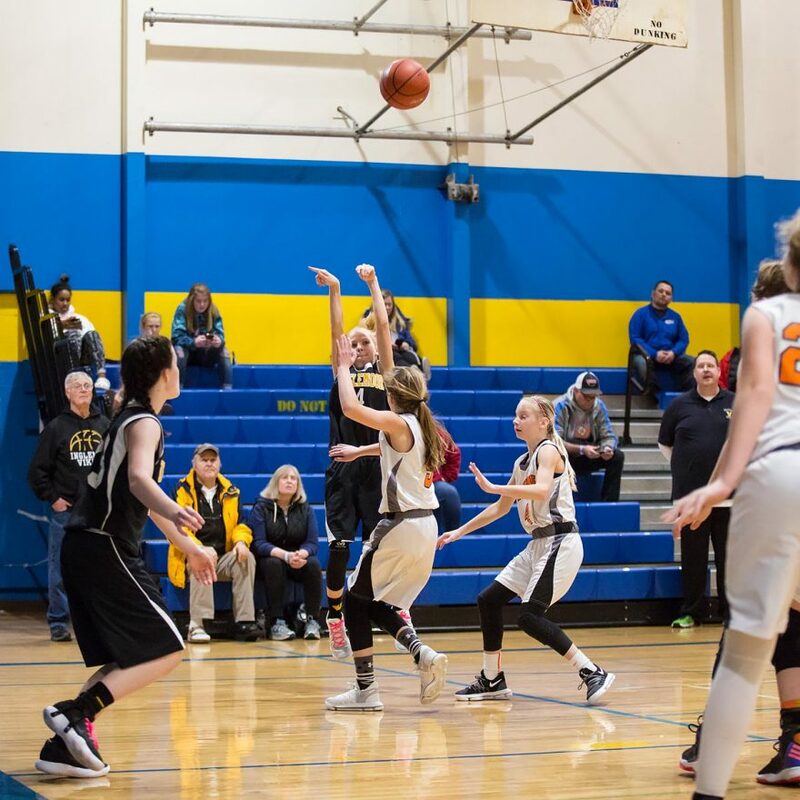 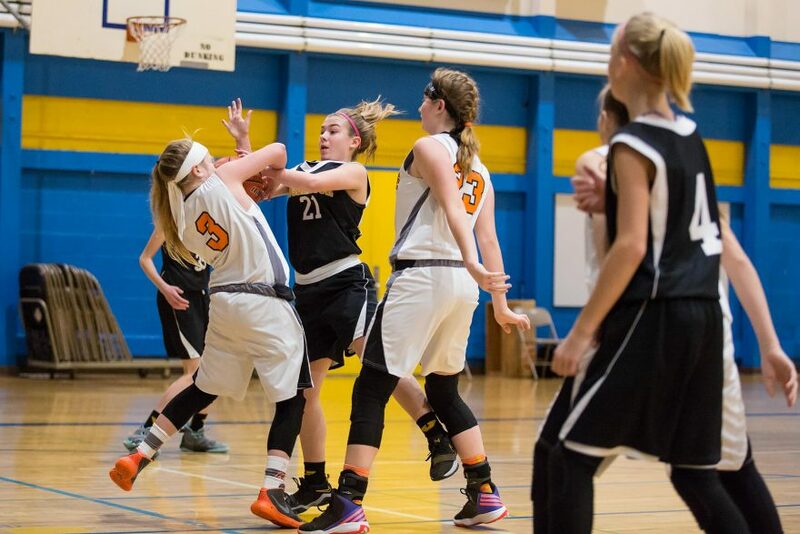 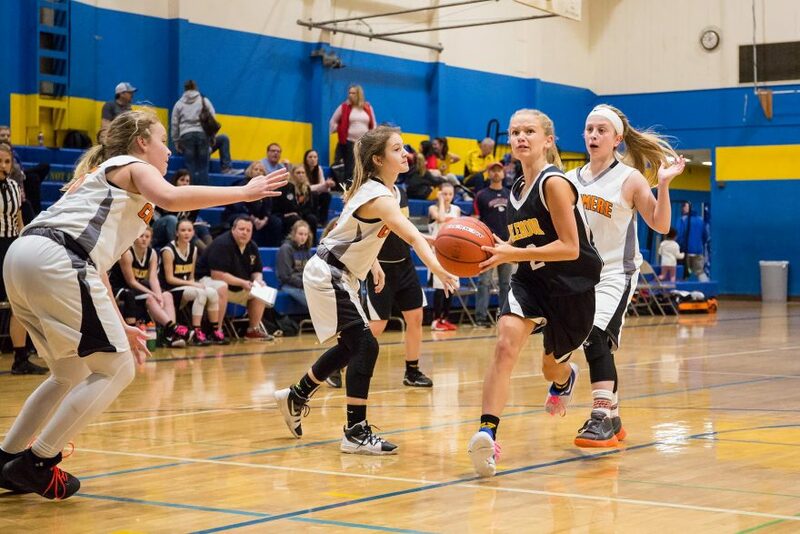 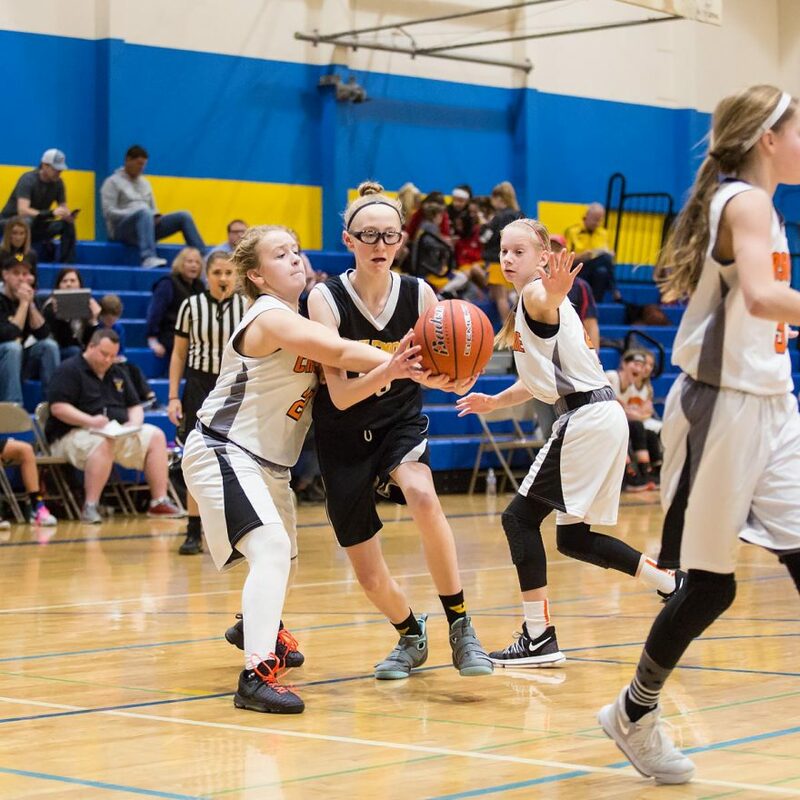 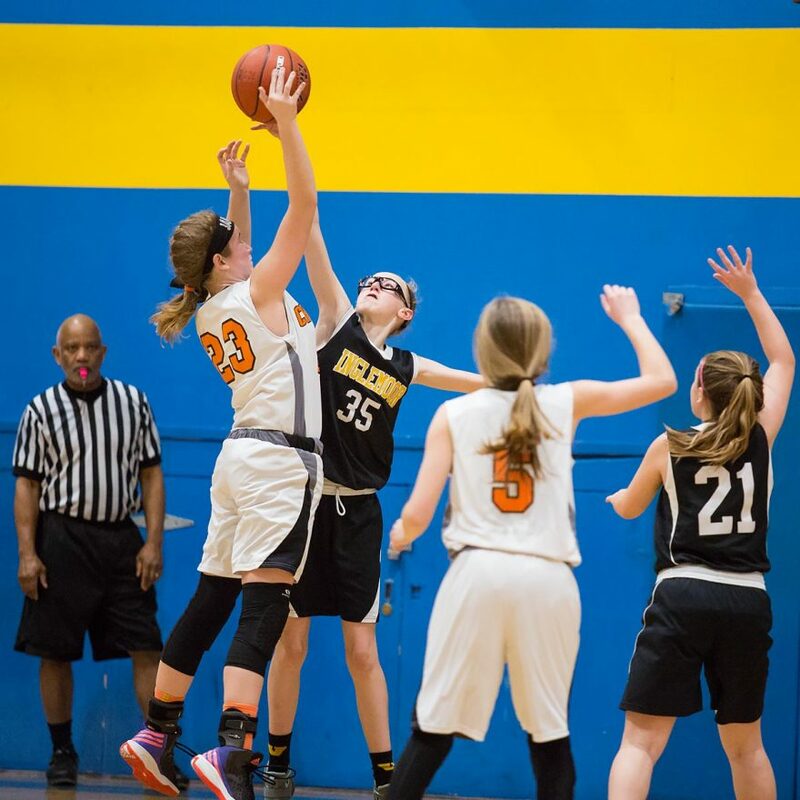 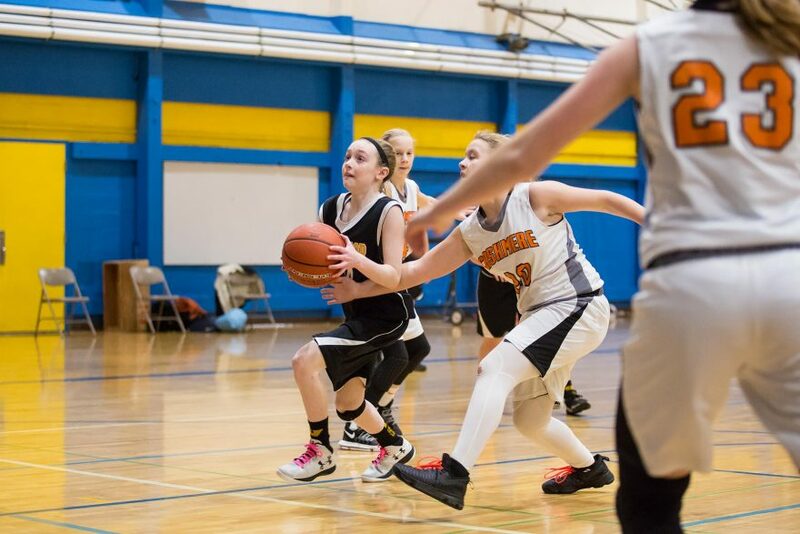 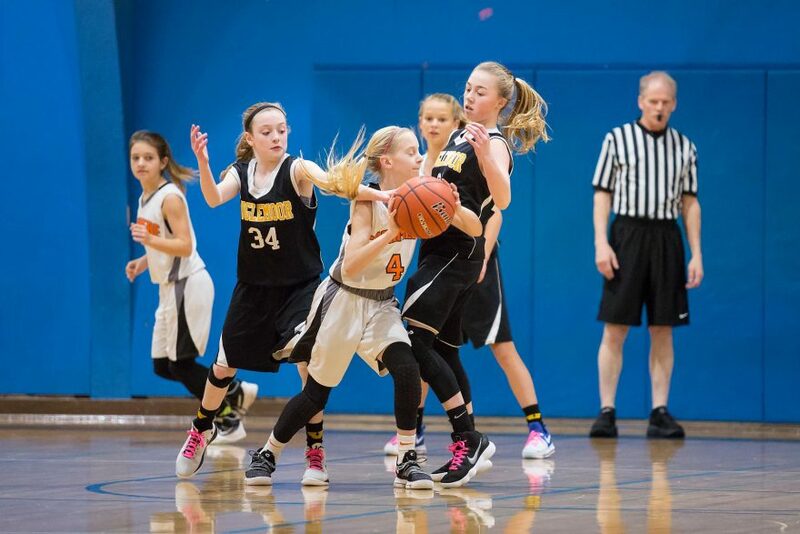 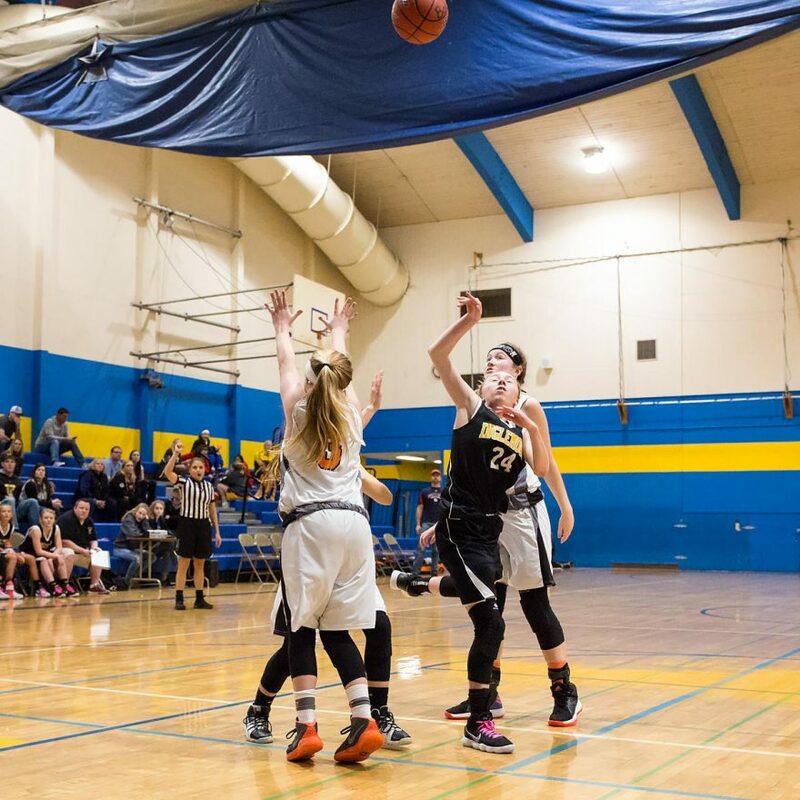 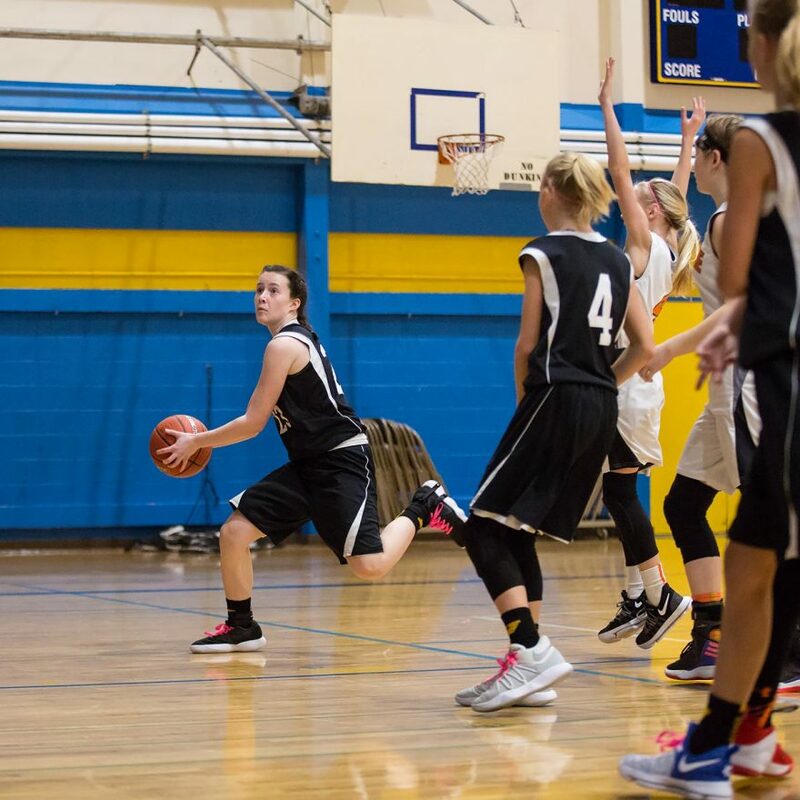 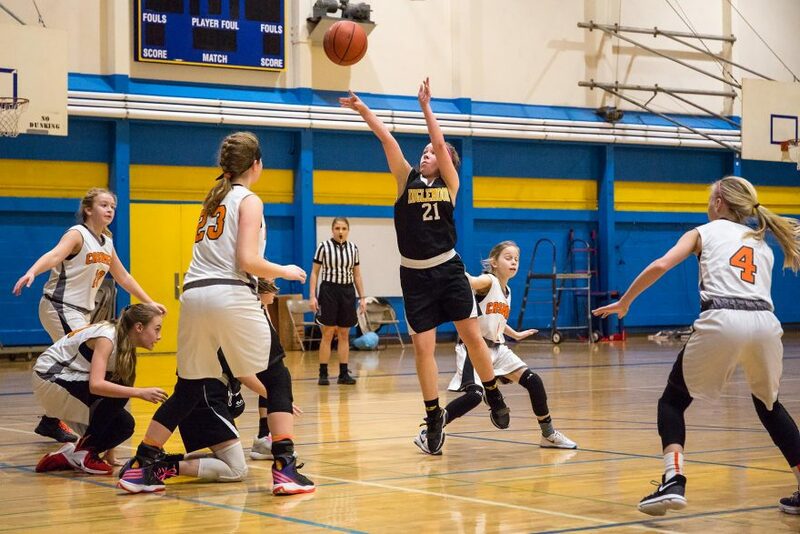 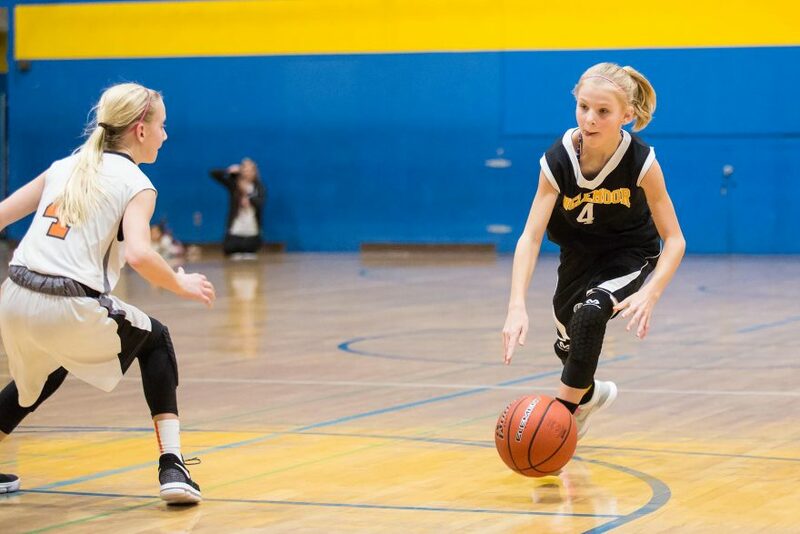 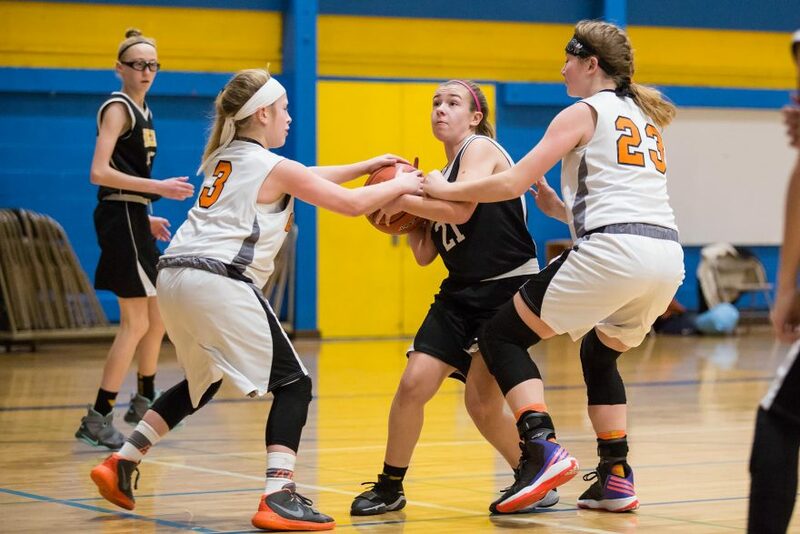 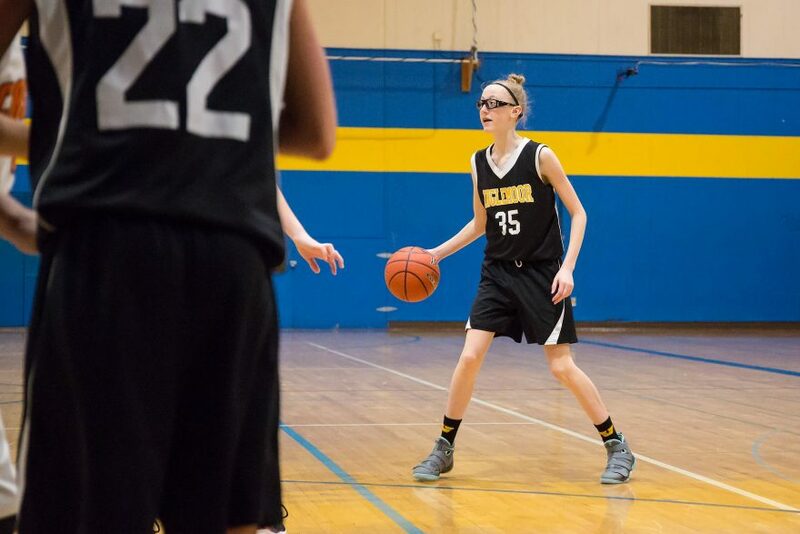 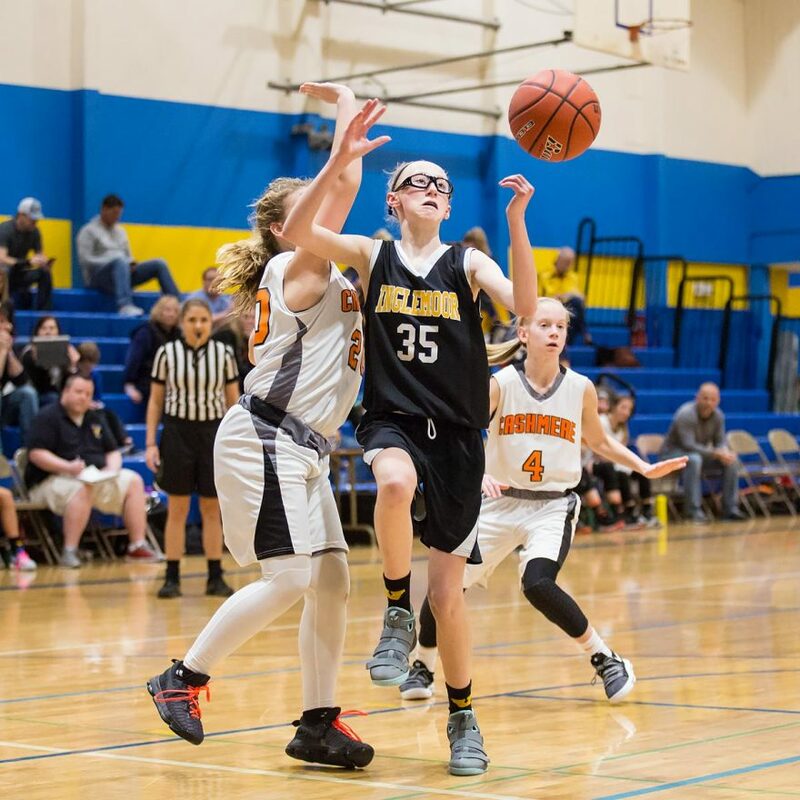 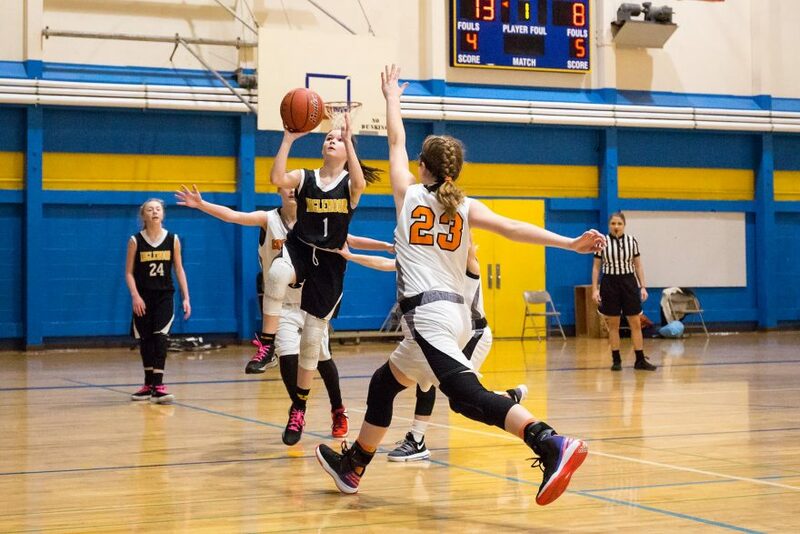 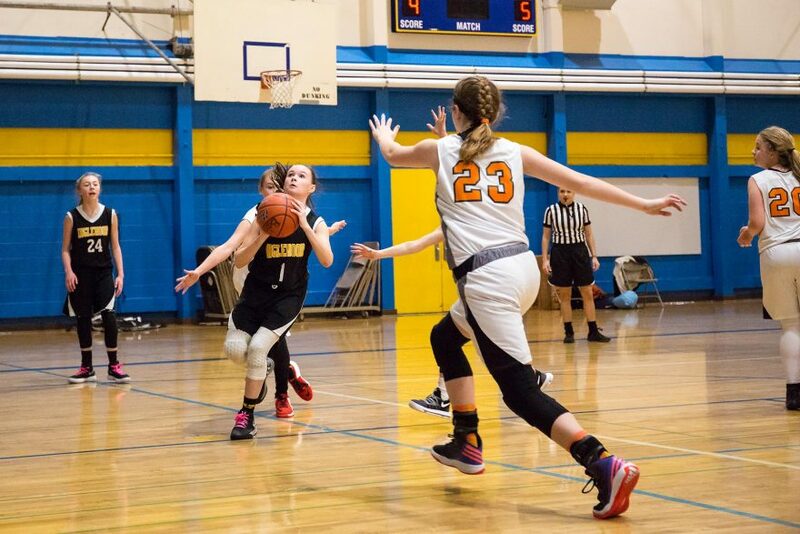 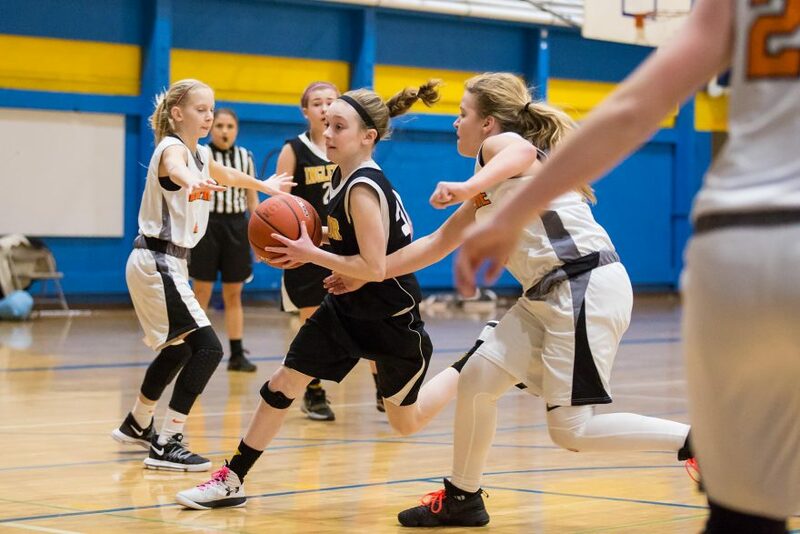 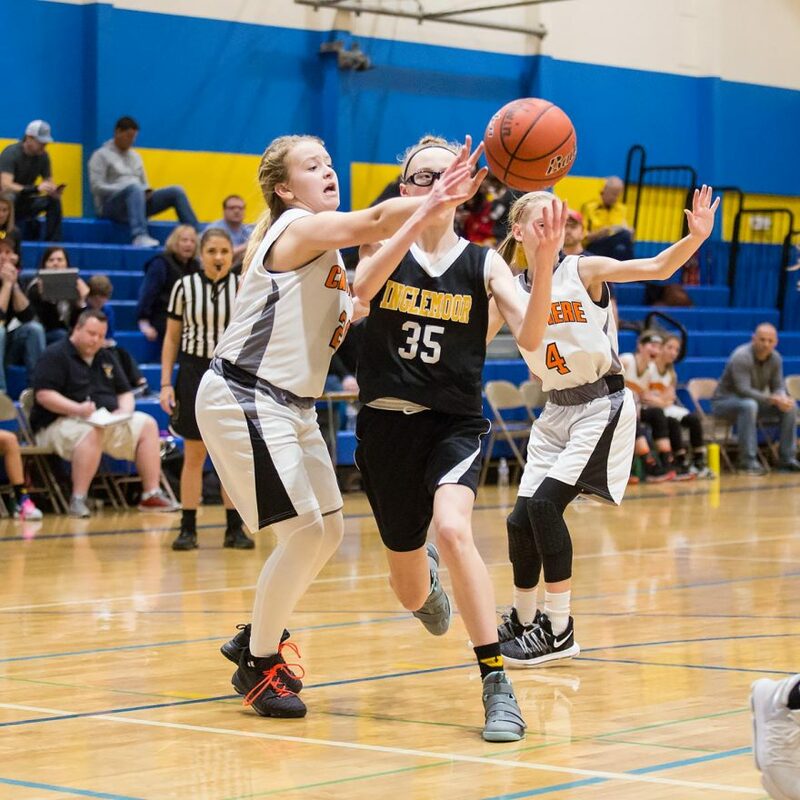 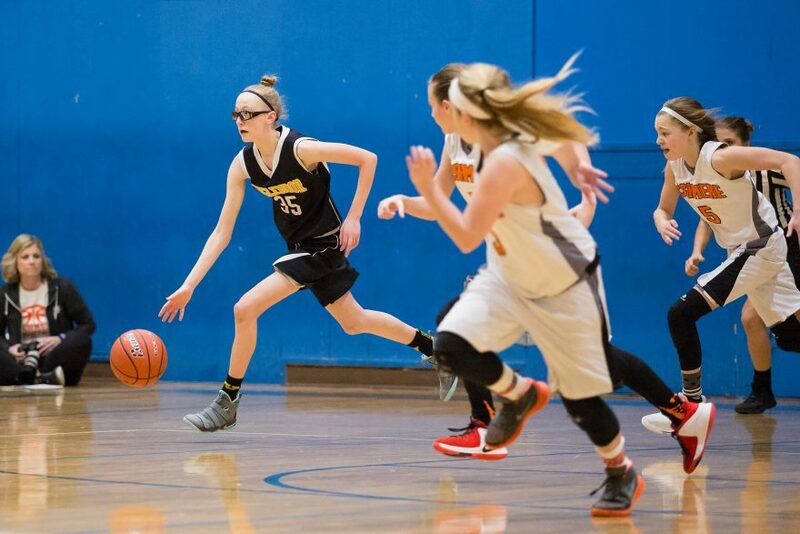 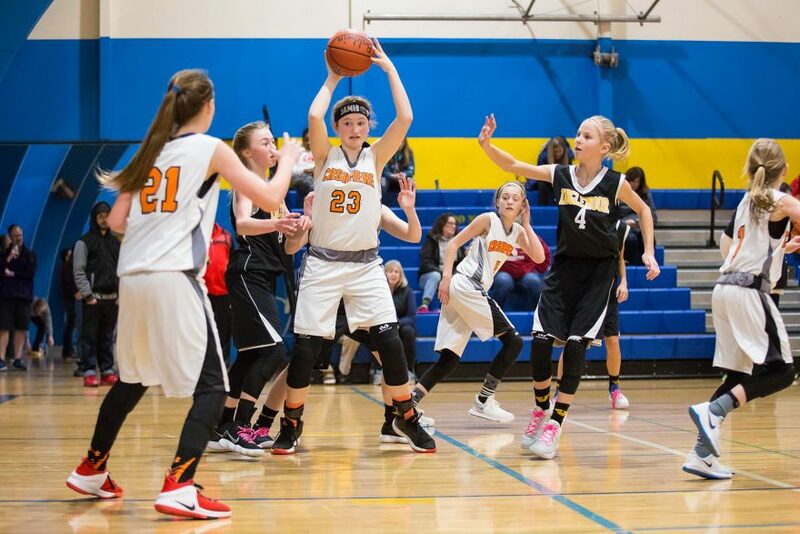 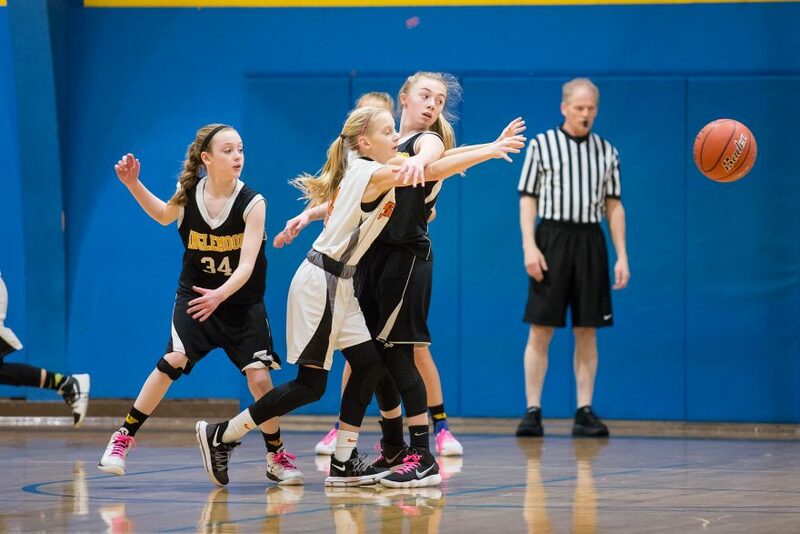 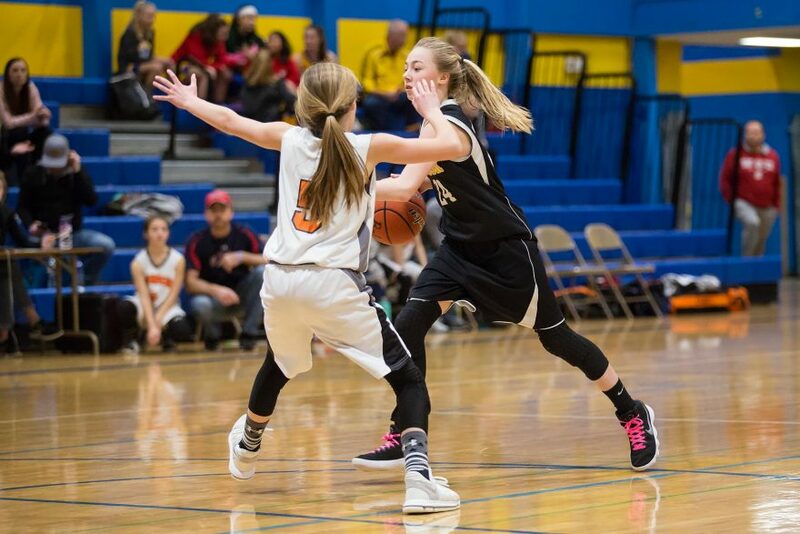 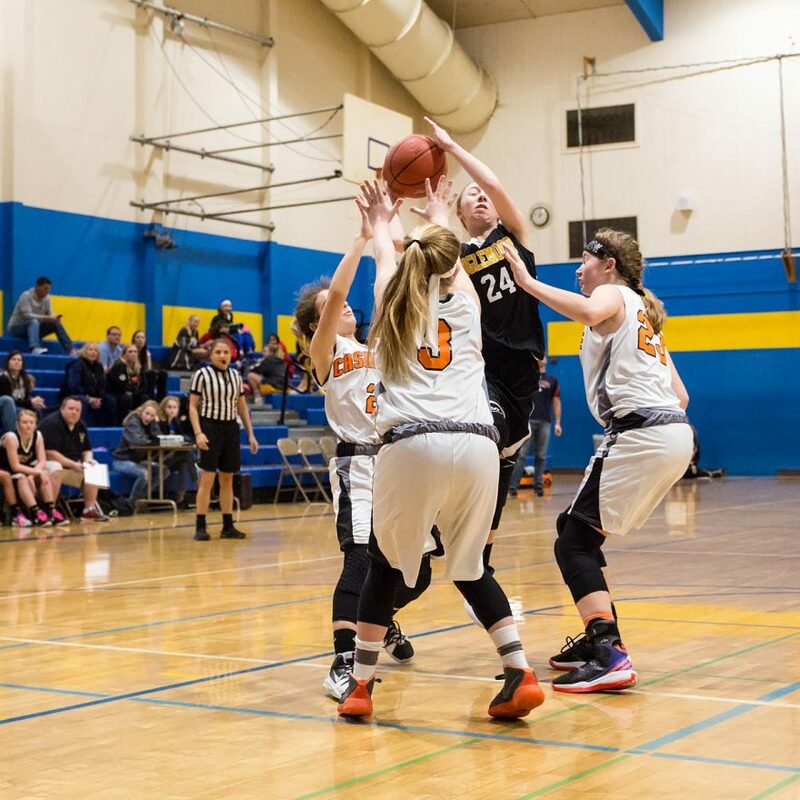 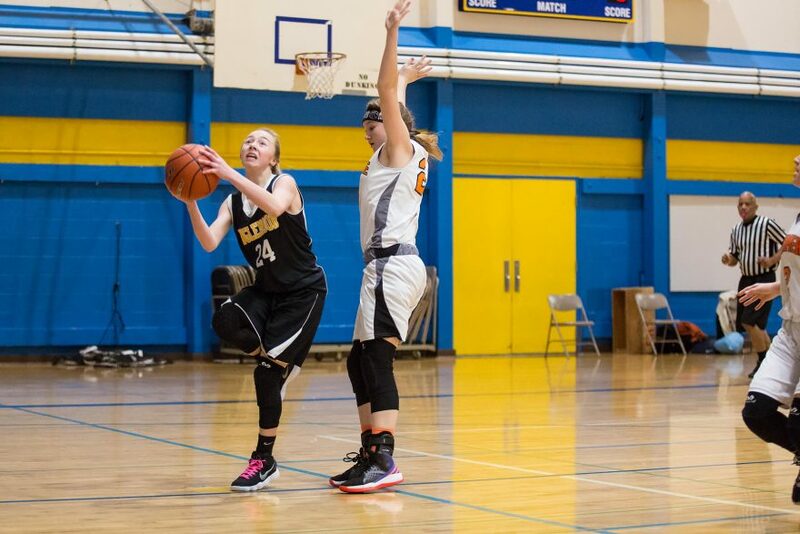 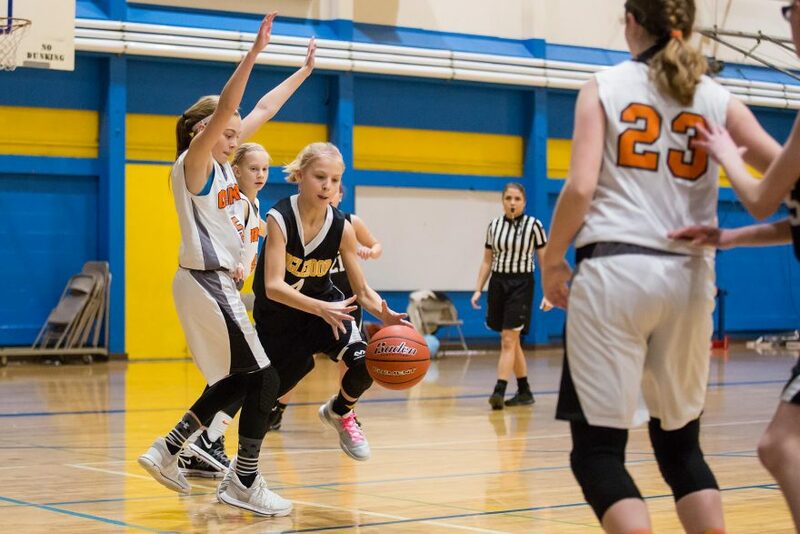 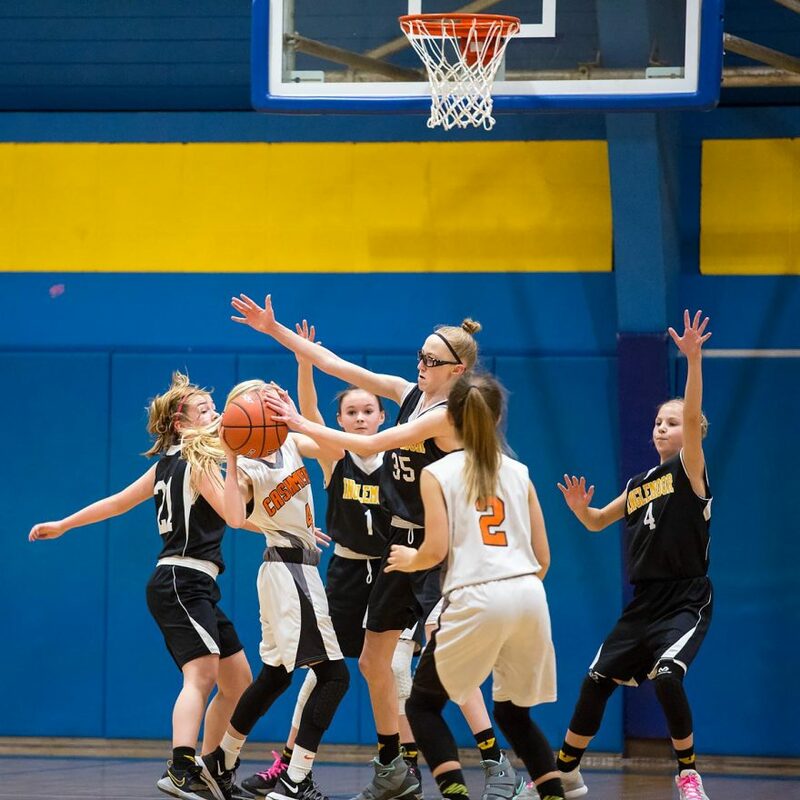 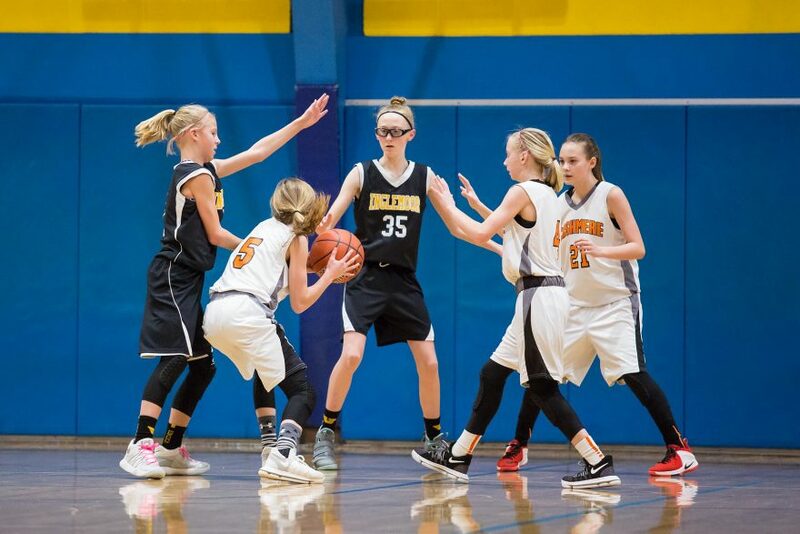 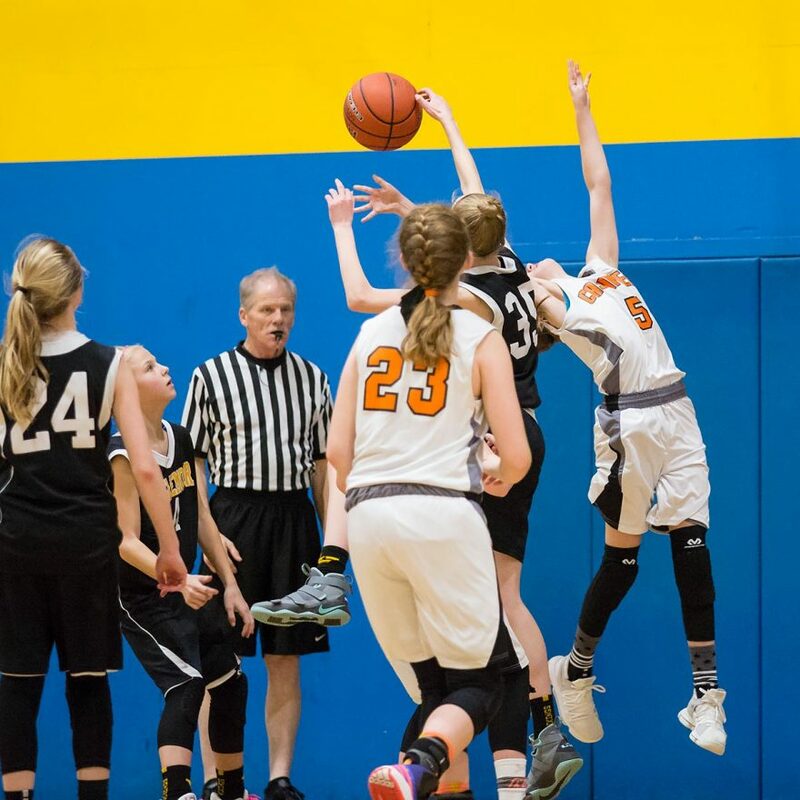 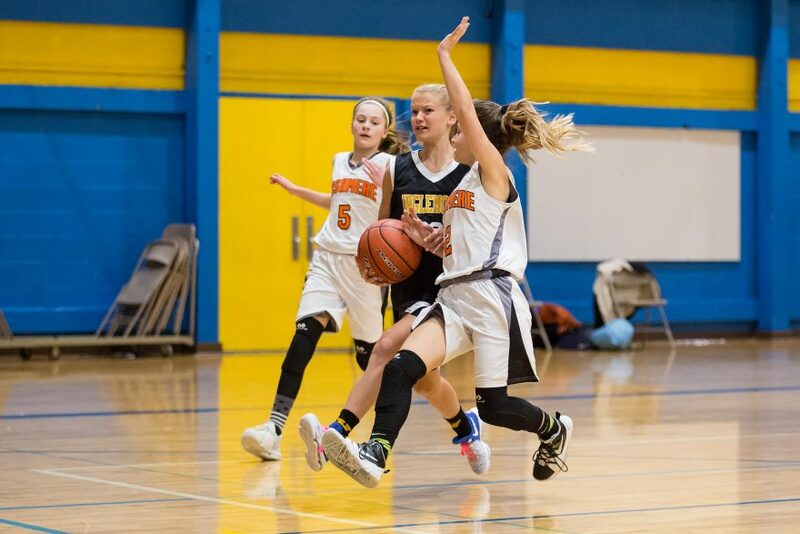 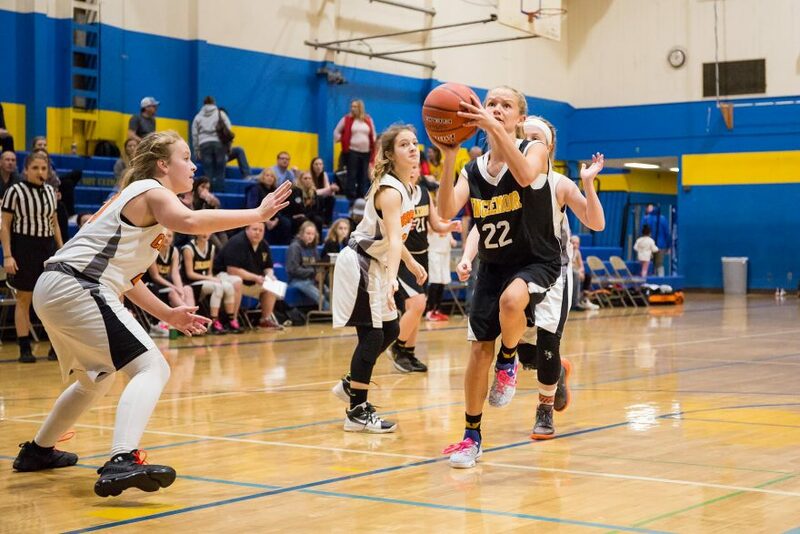 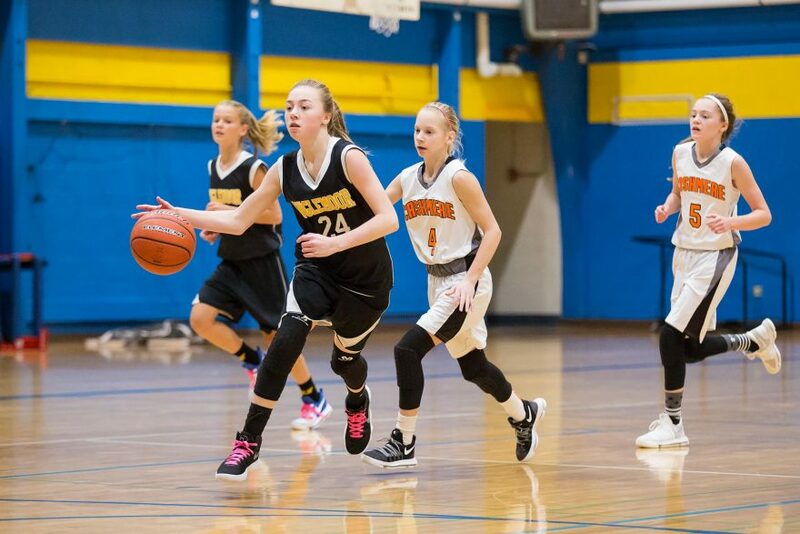 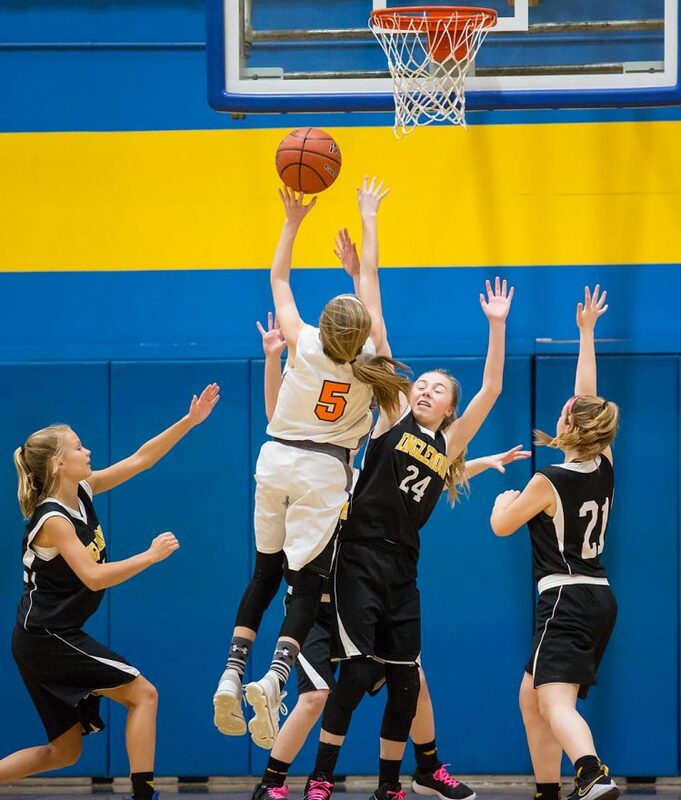 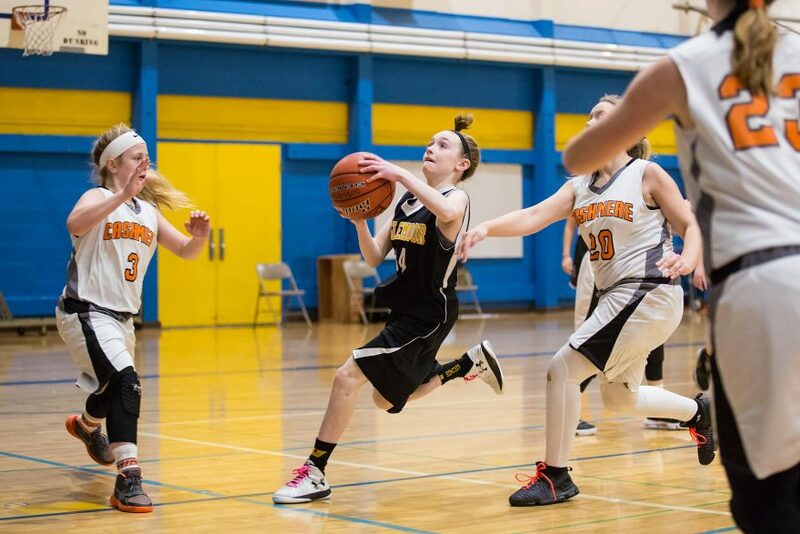 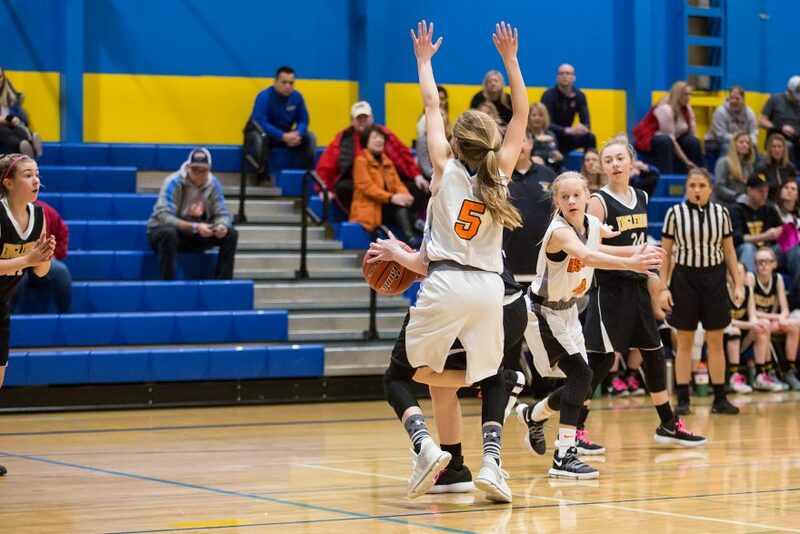 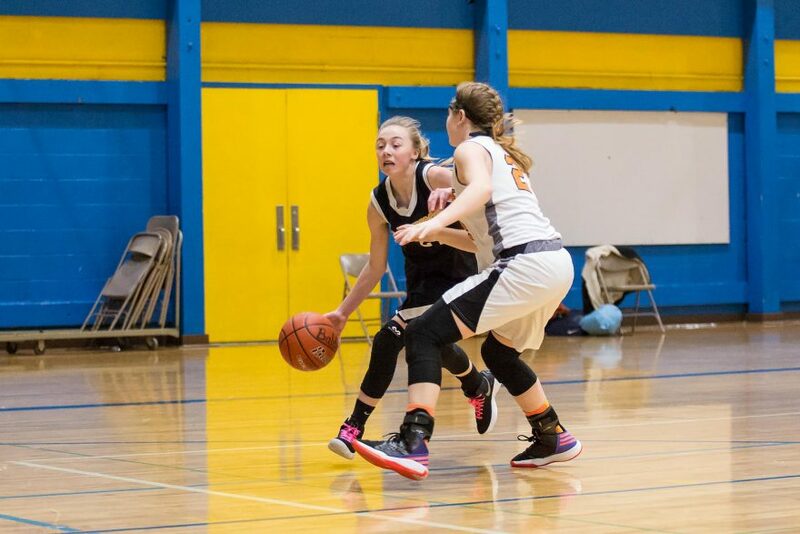 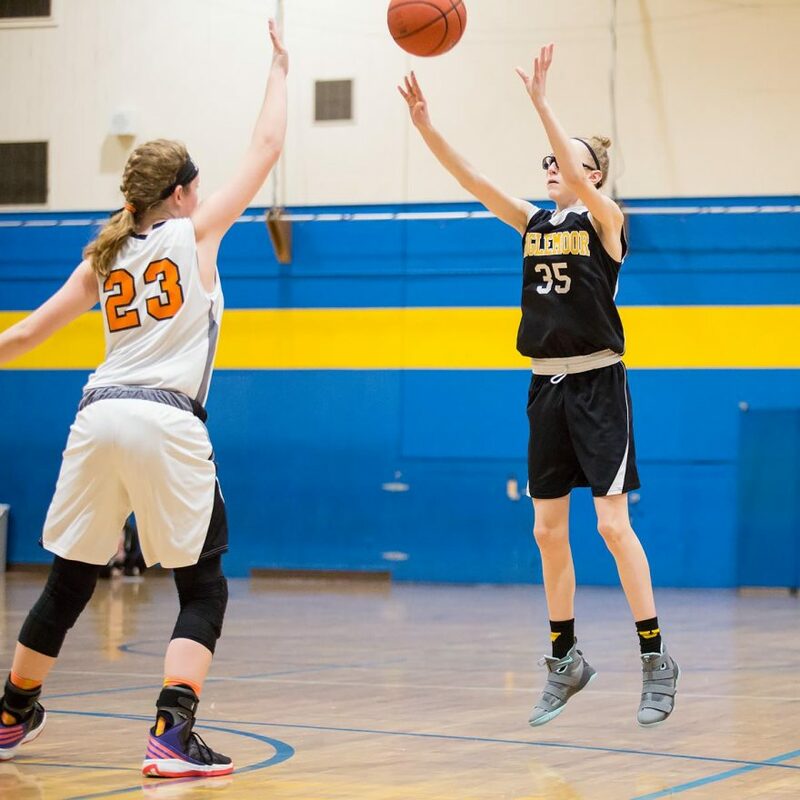 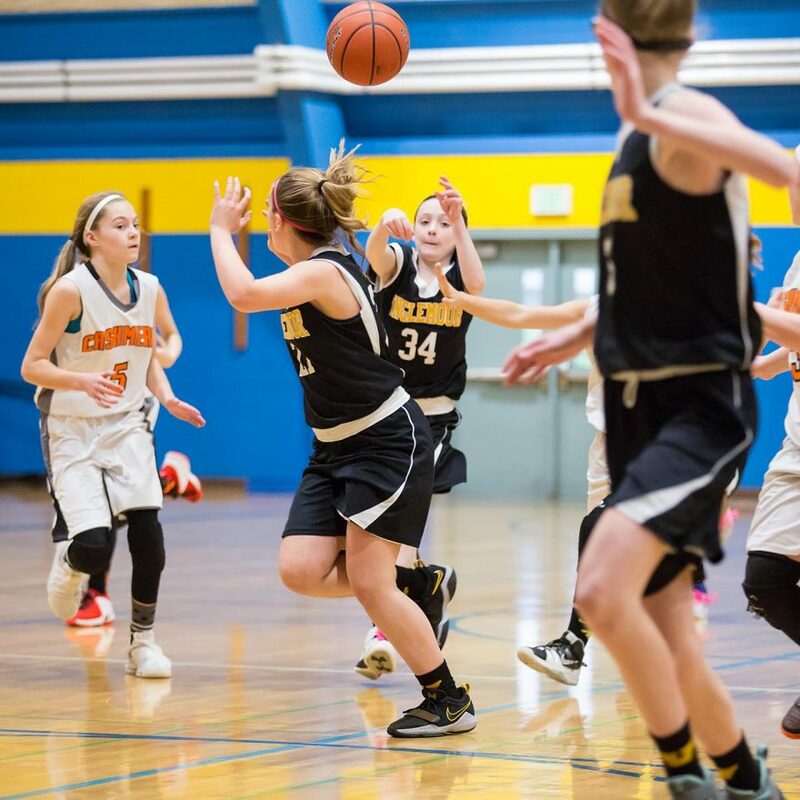 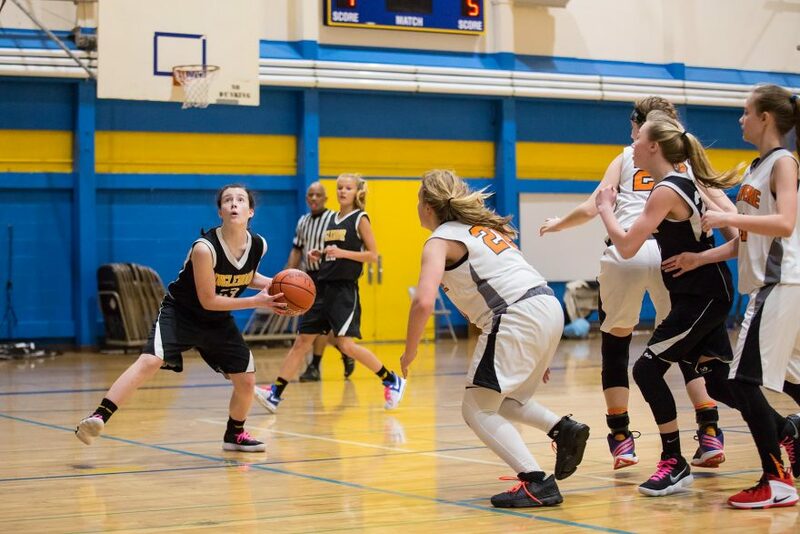 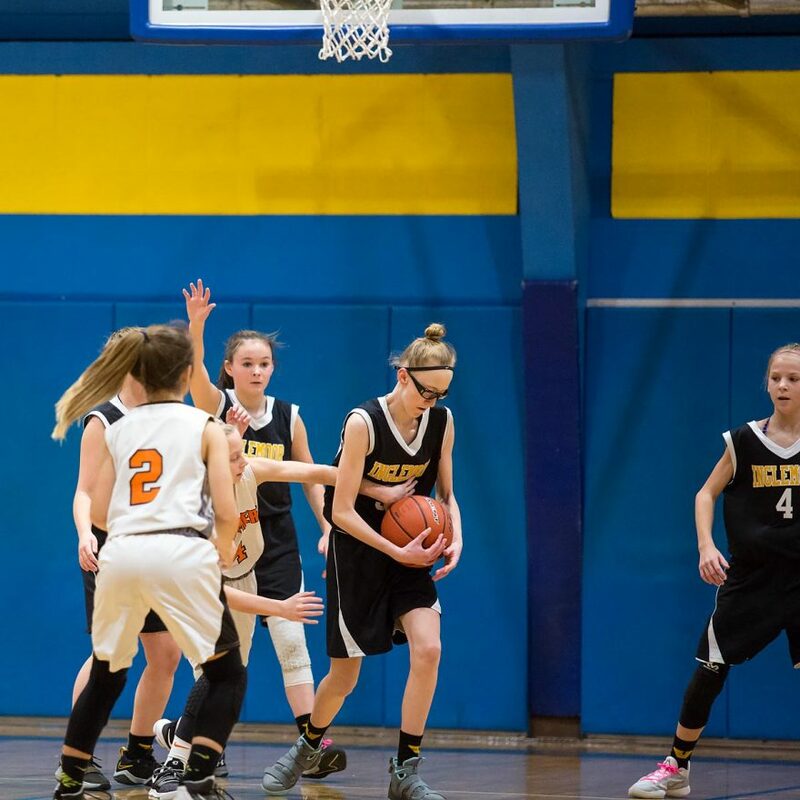 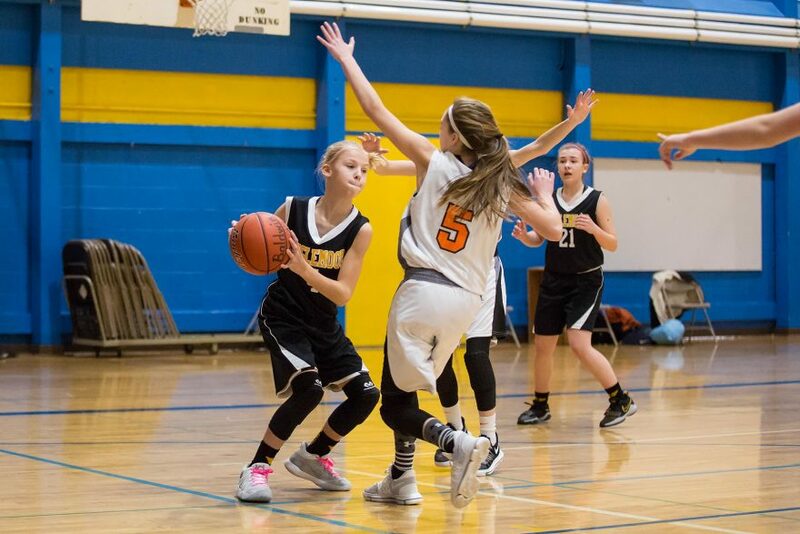 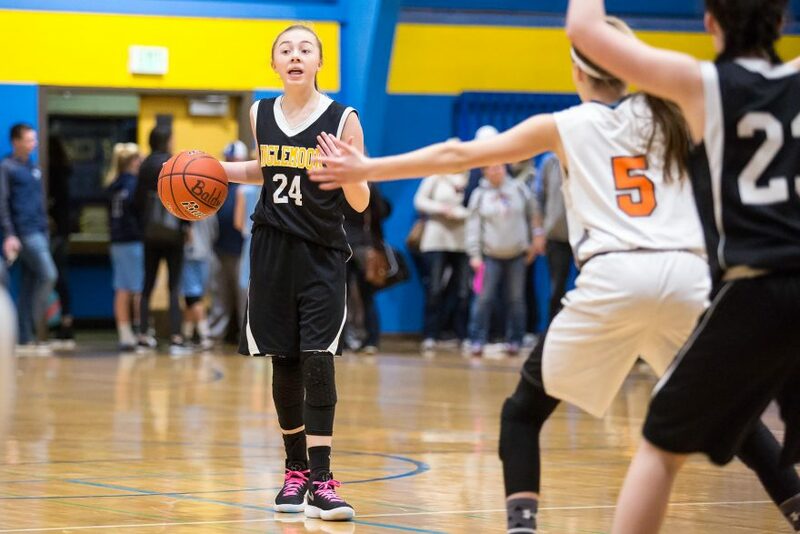 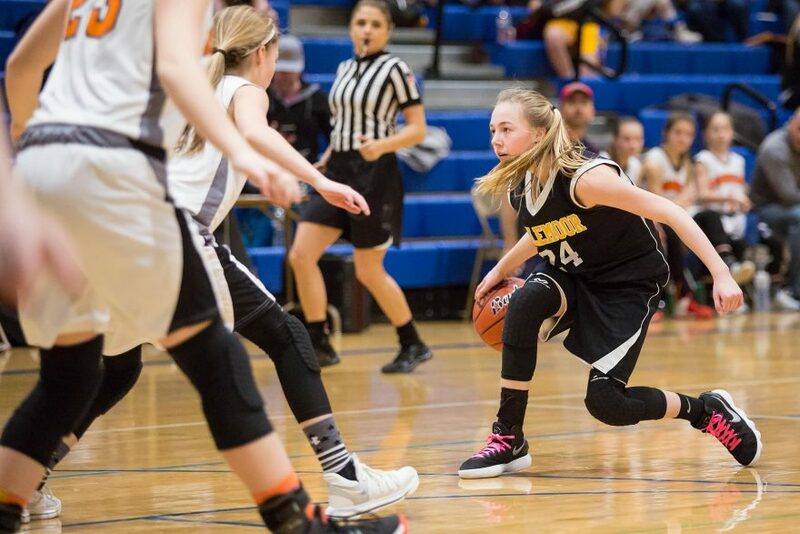 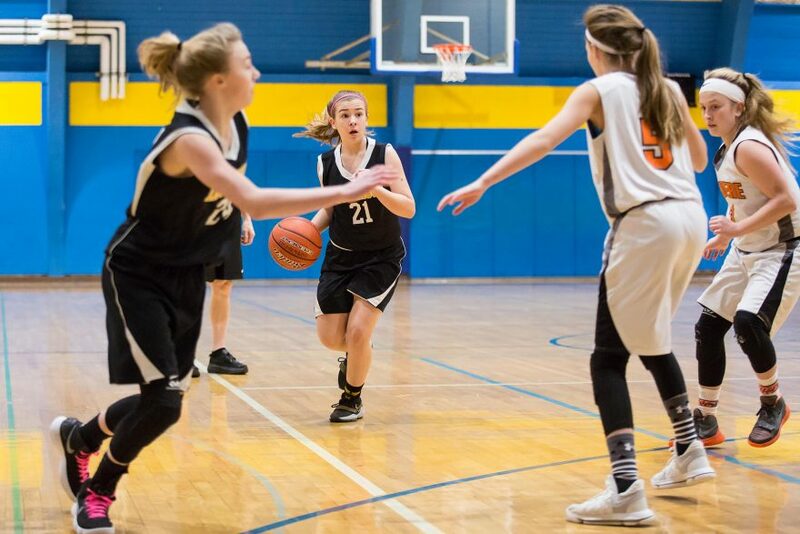 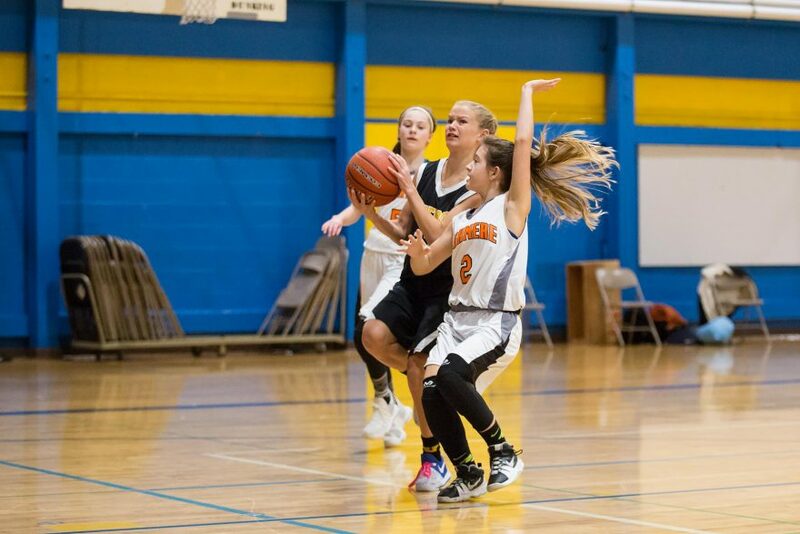 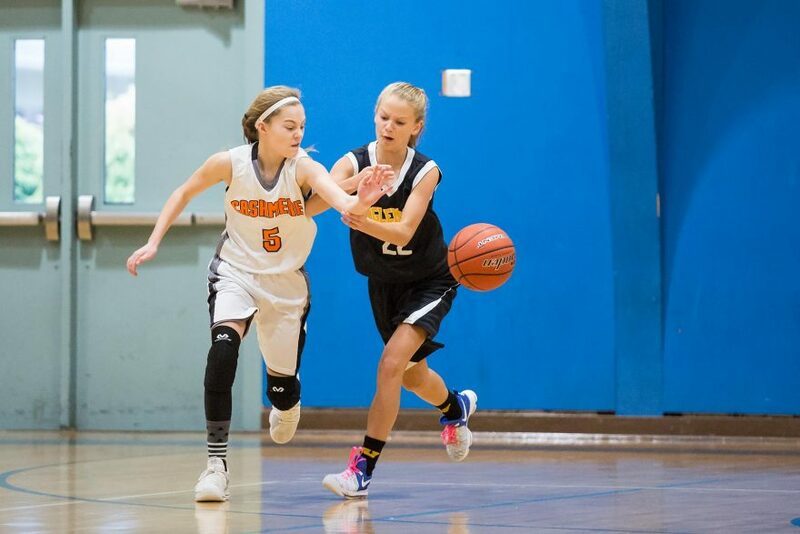 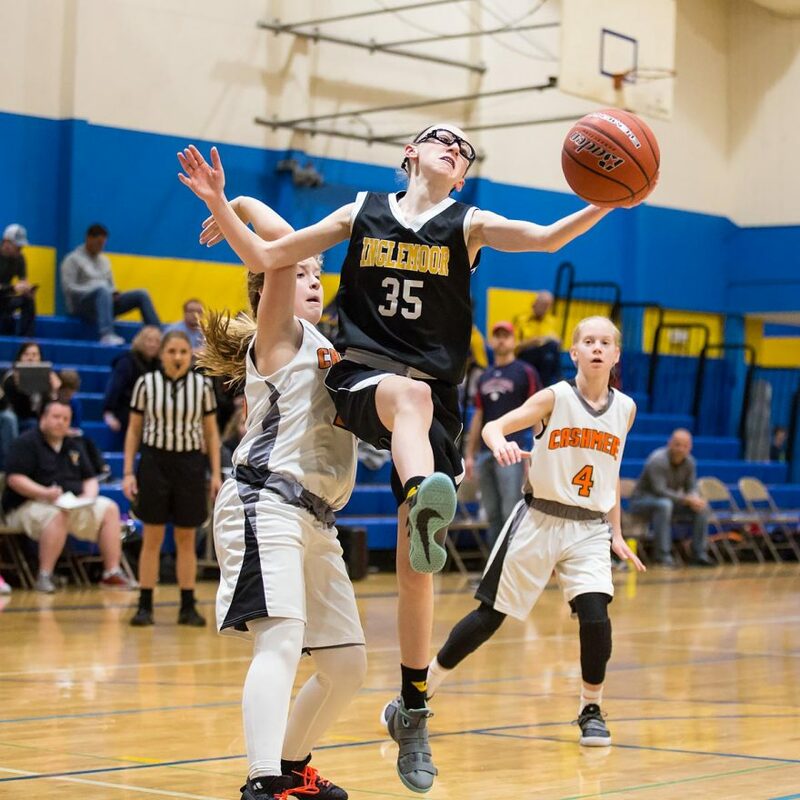 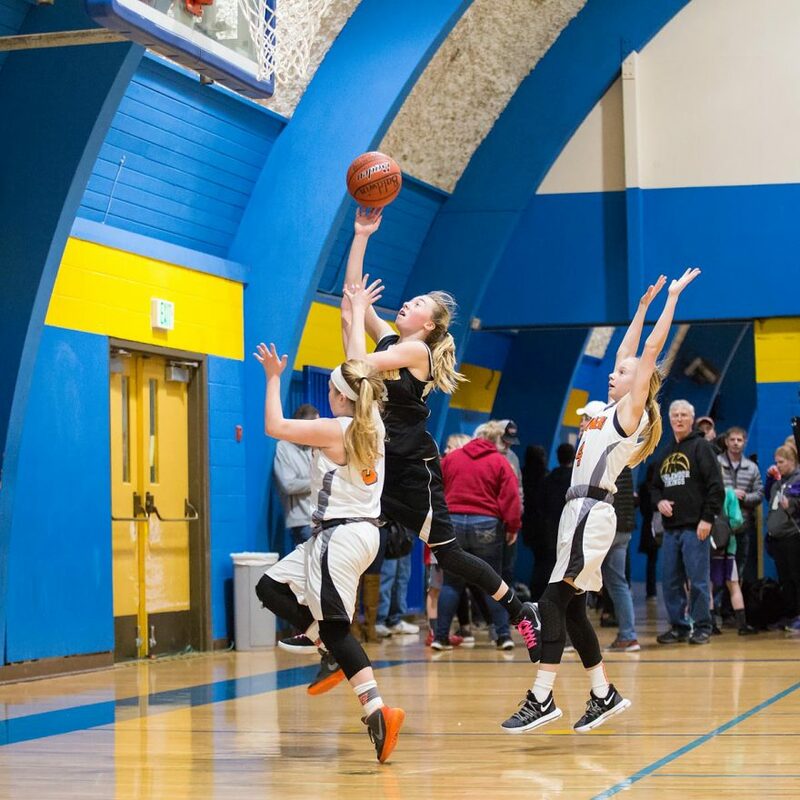 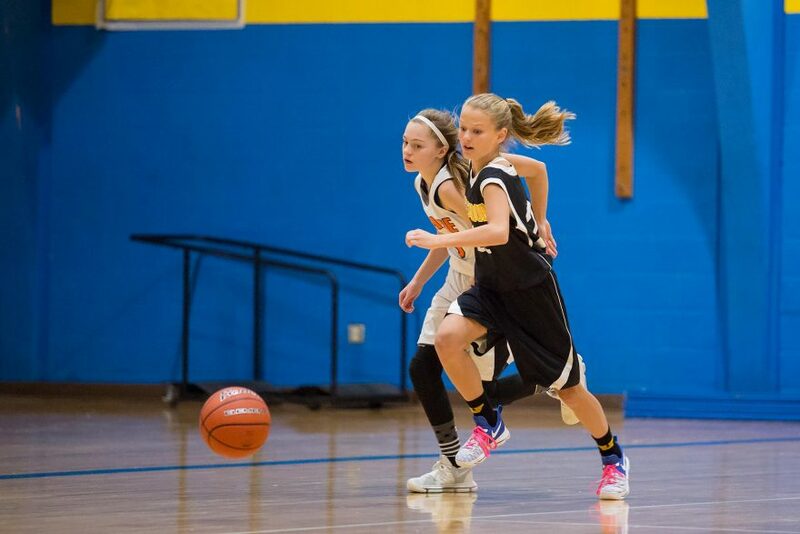 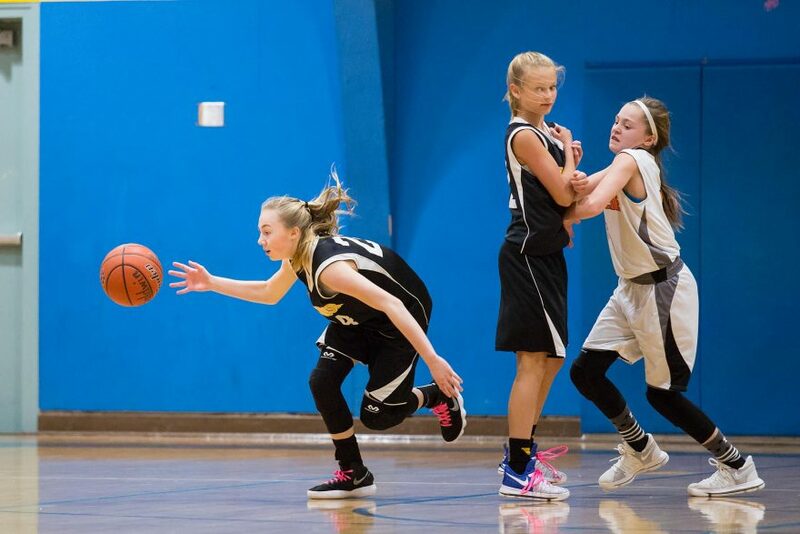 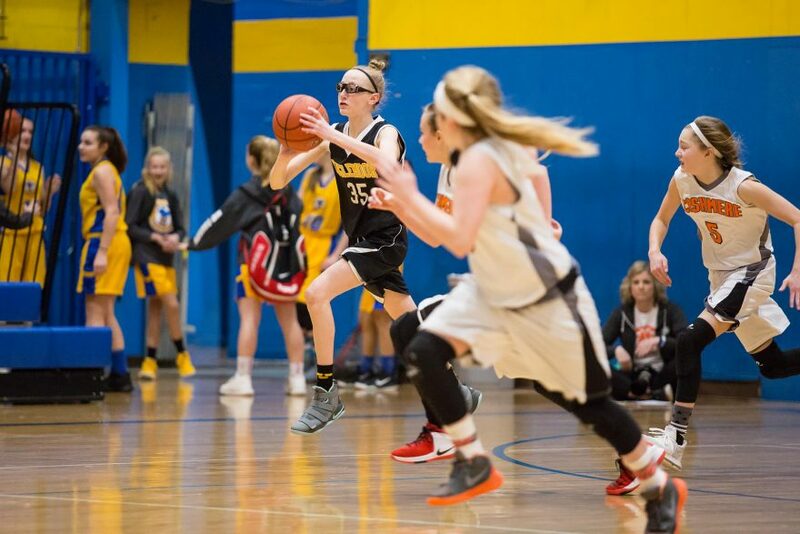 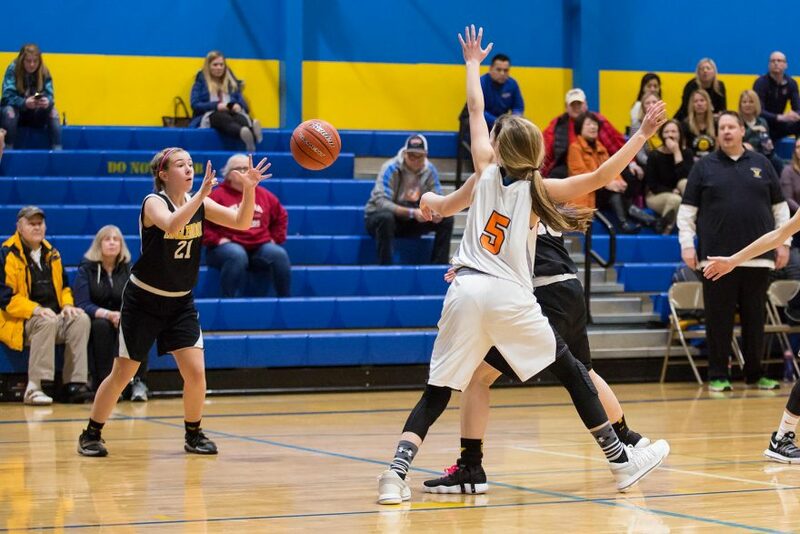 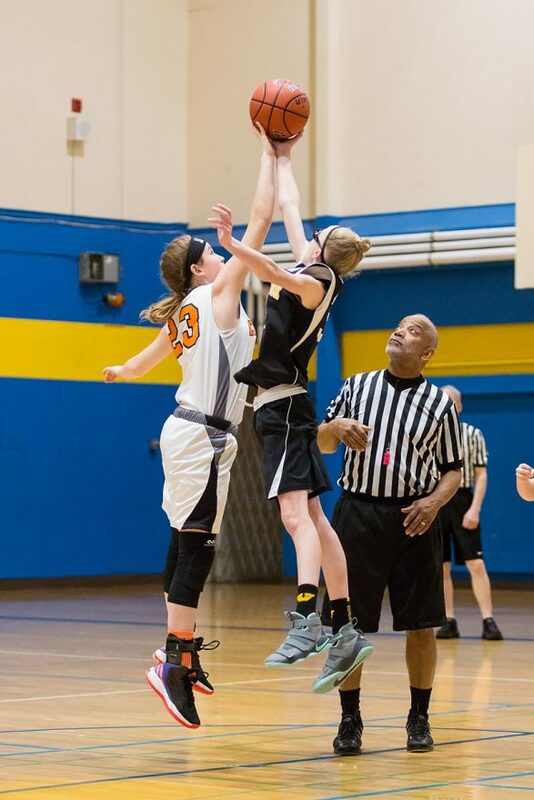 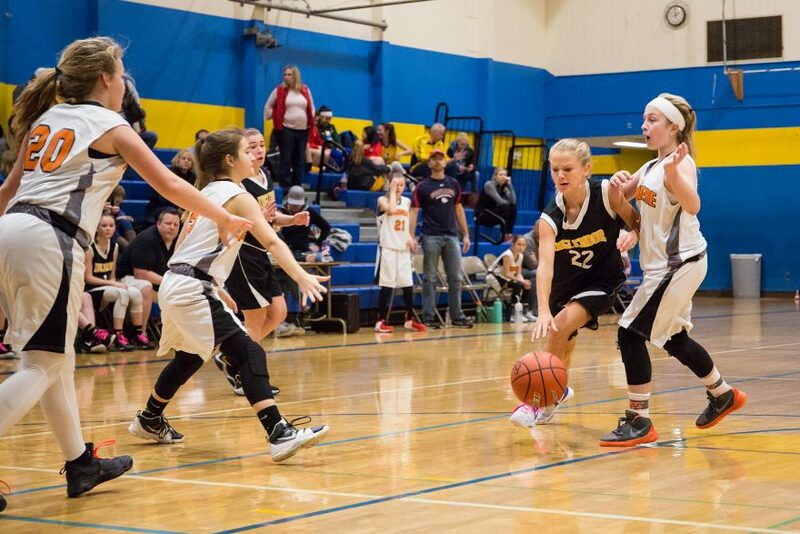 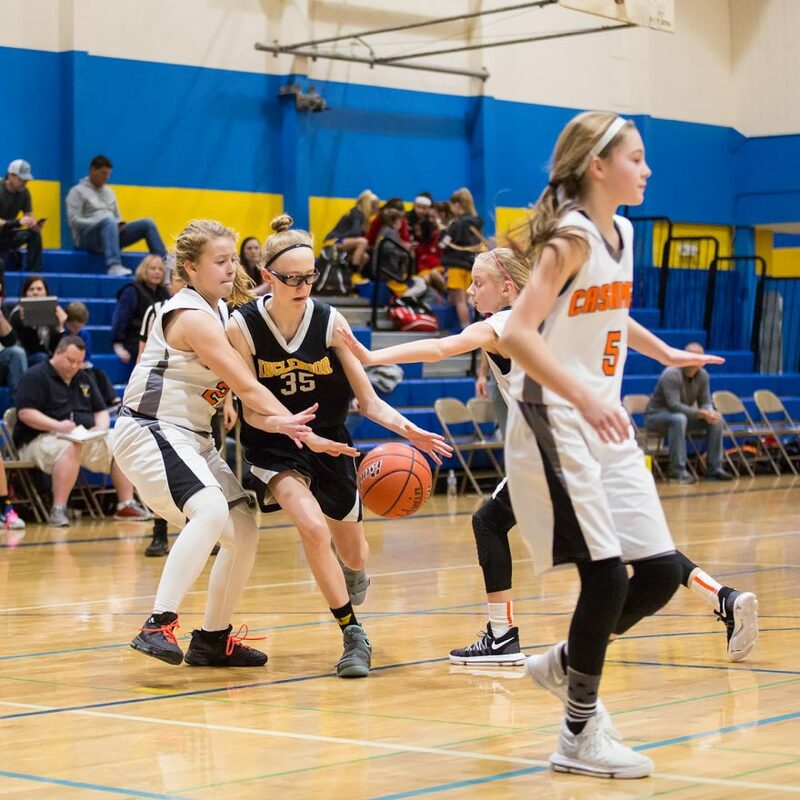 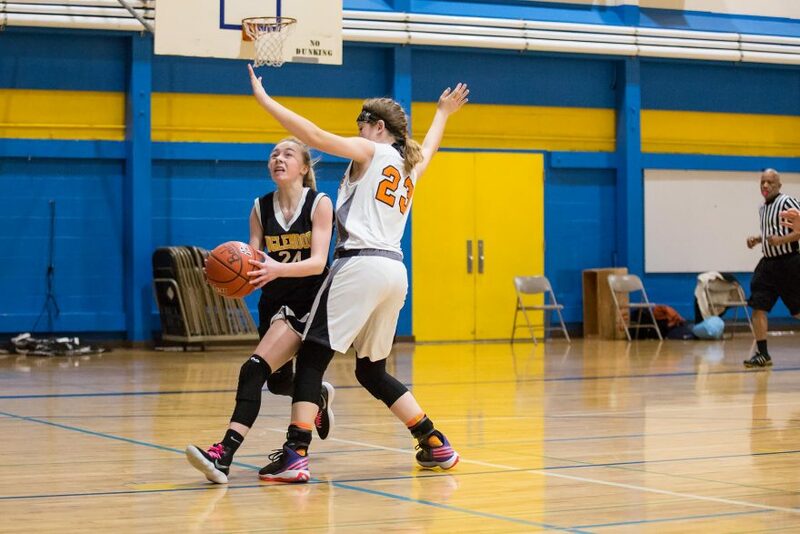 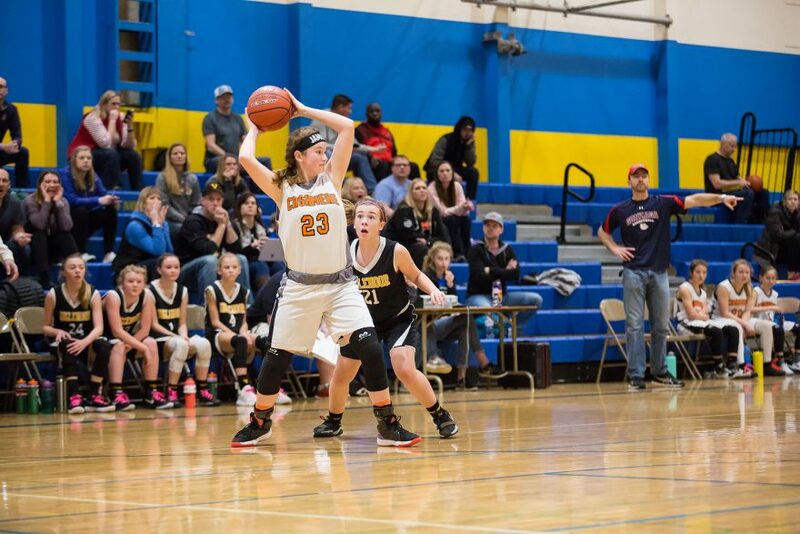 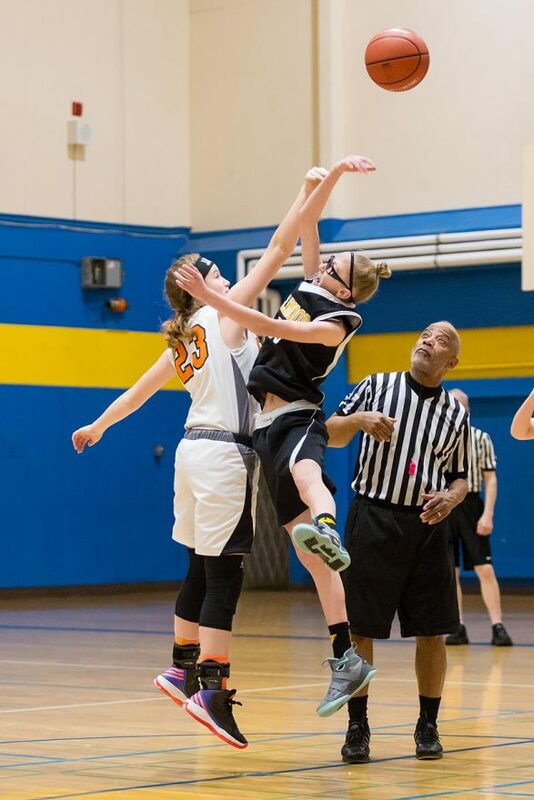 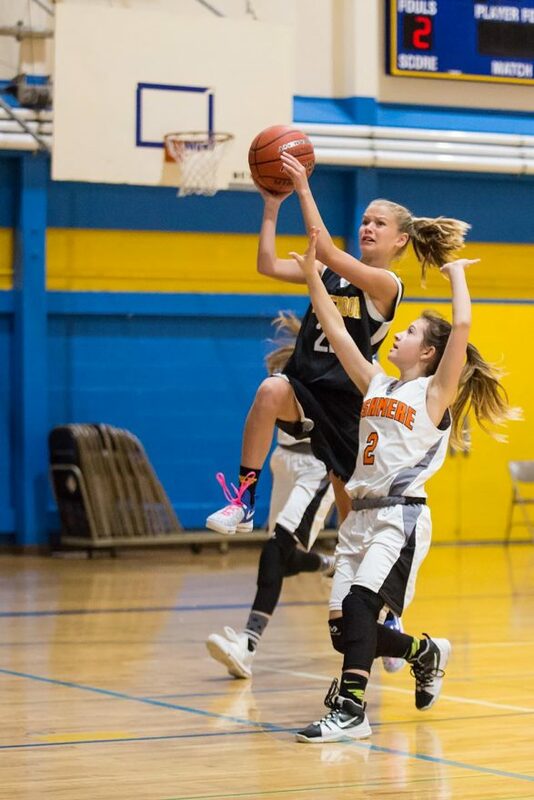 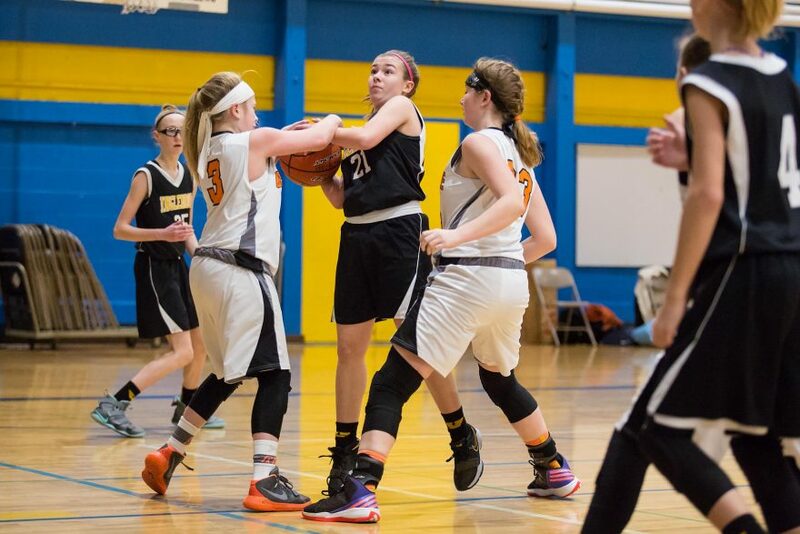 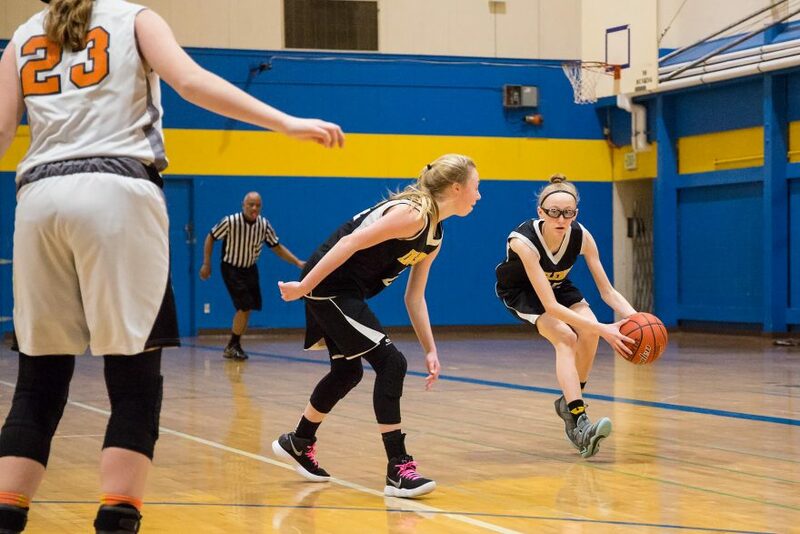 Cashmere and Inglemoor met at Ferndale High School on Saturday to open the 2018 Chelsey Ebert Ferndale Jam. 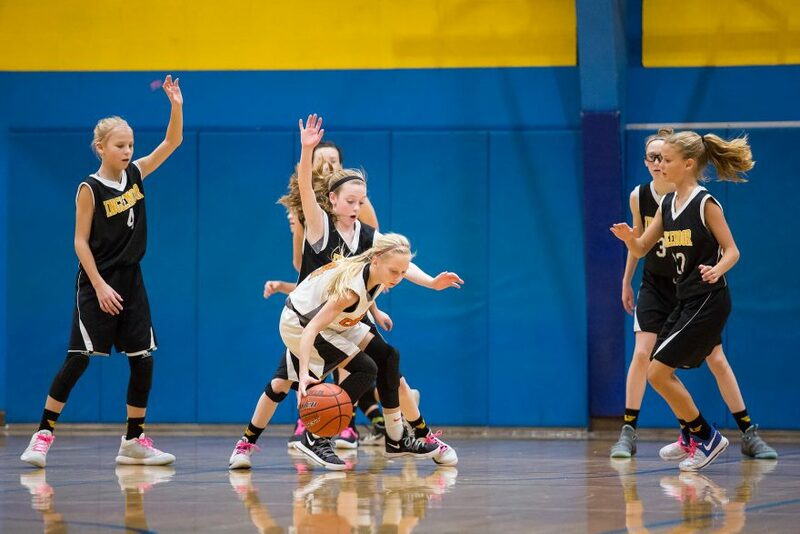 Both teams hit the floor with energy and played strong defense, and the score was tied at 5-5 after the first seven minutes of play. 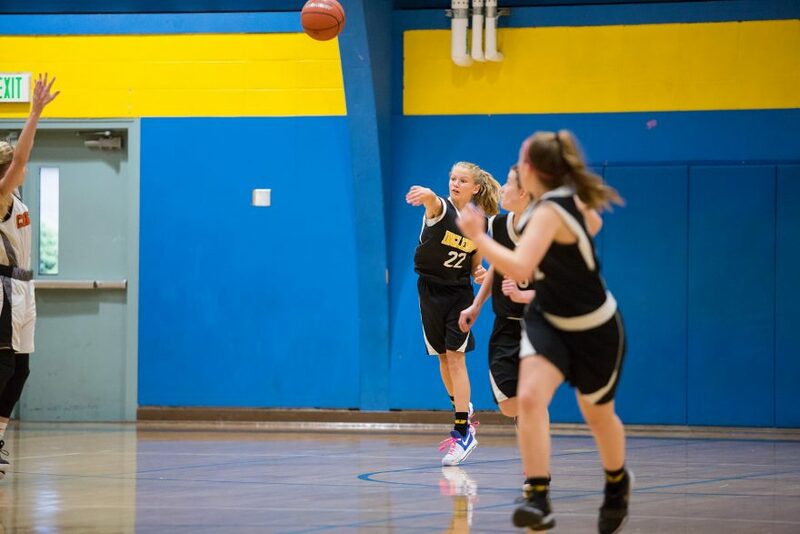 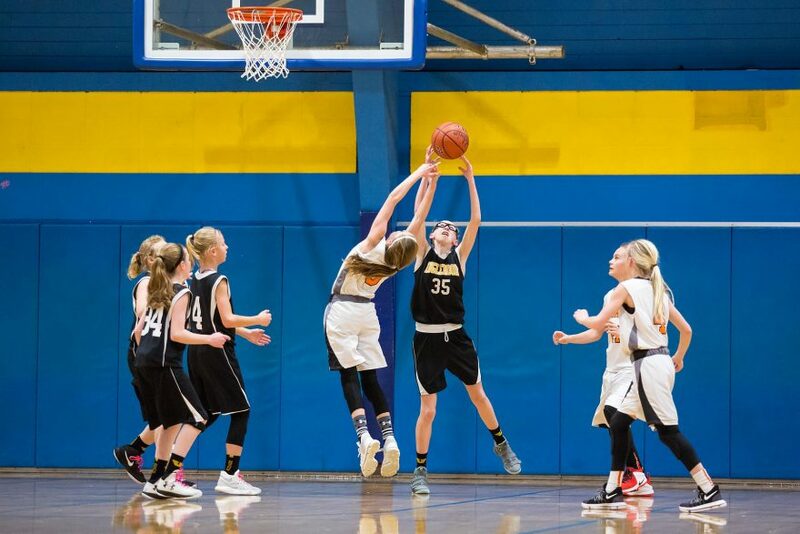 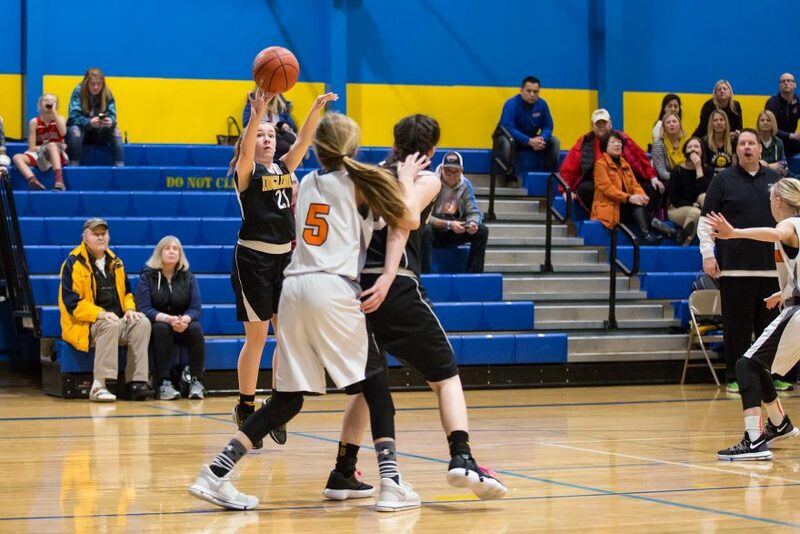 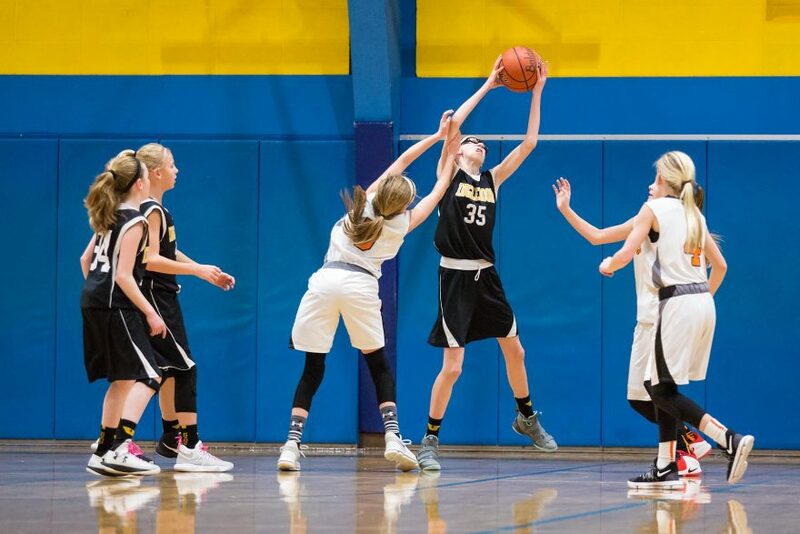 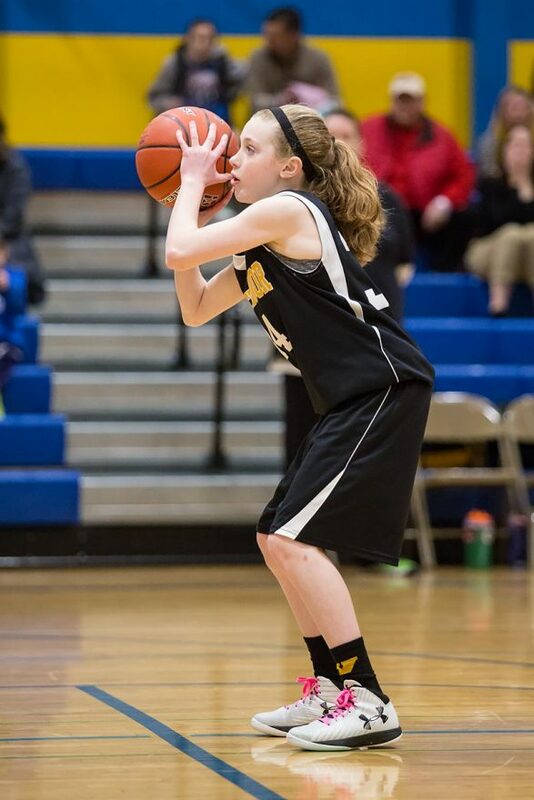 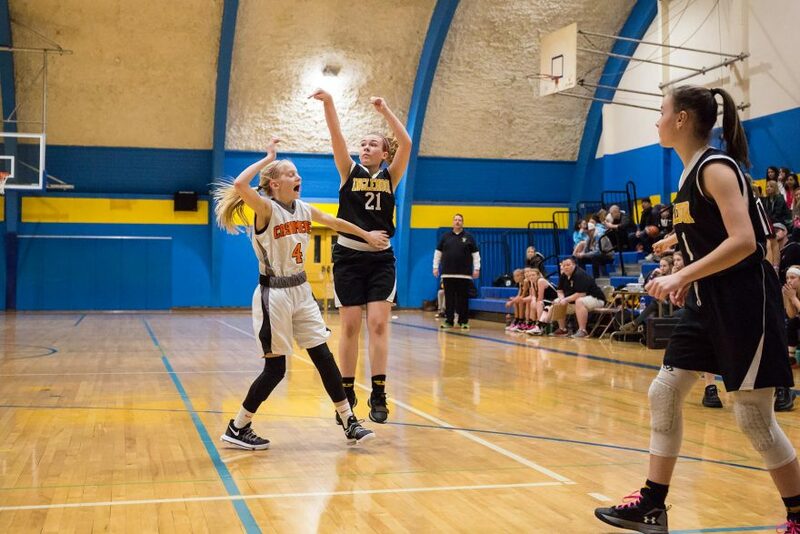 Moments later, though, Inglemoor sunk a layup for the lead, a lead that they would hold for the remainder of the game. 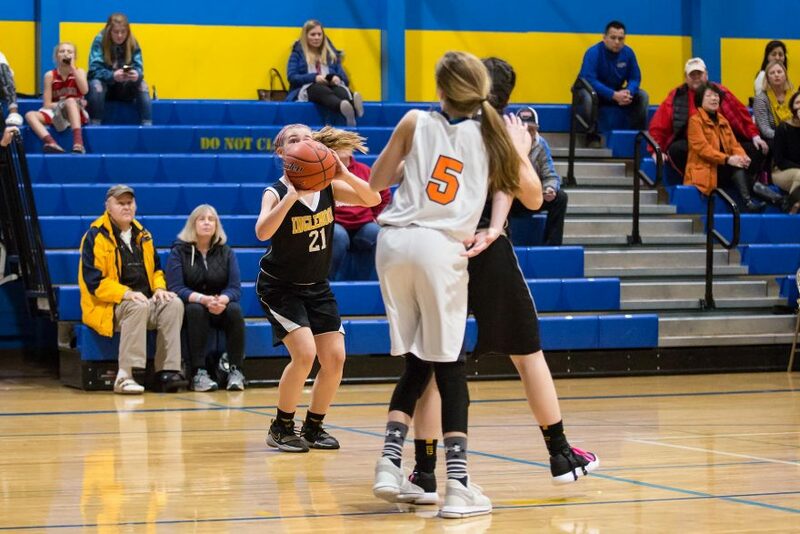 After another five low-scoring minutes and clinging to an 8-11 lead, the Vikings took a time-out and redoubled their efforts on ball movement. 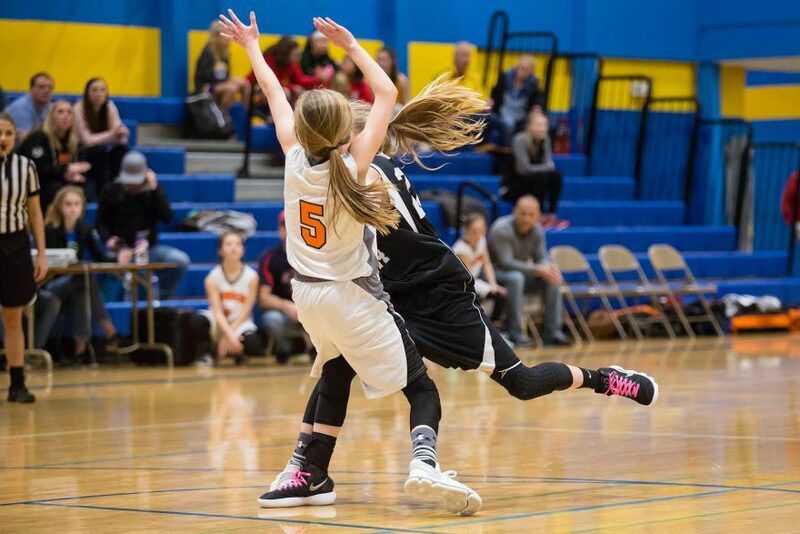 It payed off. 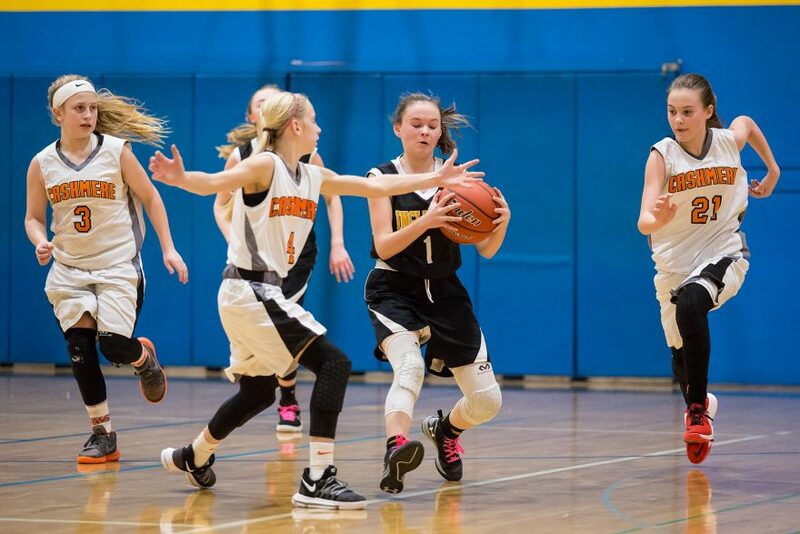 At the end of the half, Cashmere trailed 10-19. 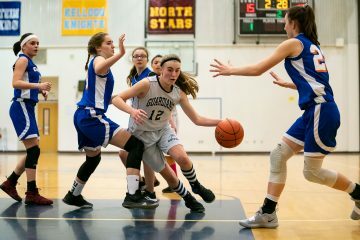 Though both teams quickly scored in the opening minutes of the second half, the Vikings pushed ahead to a 12-23 lead, and it looked as though they might run away with the game. 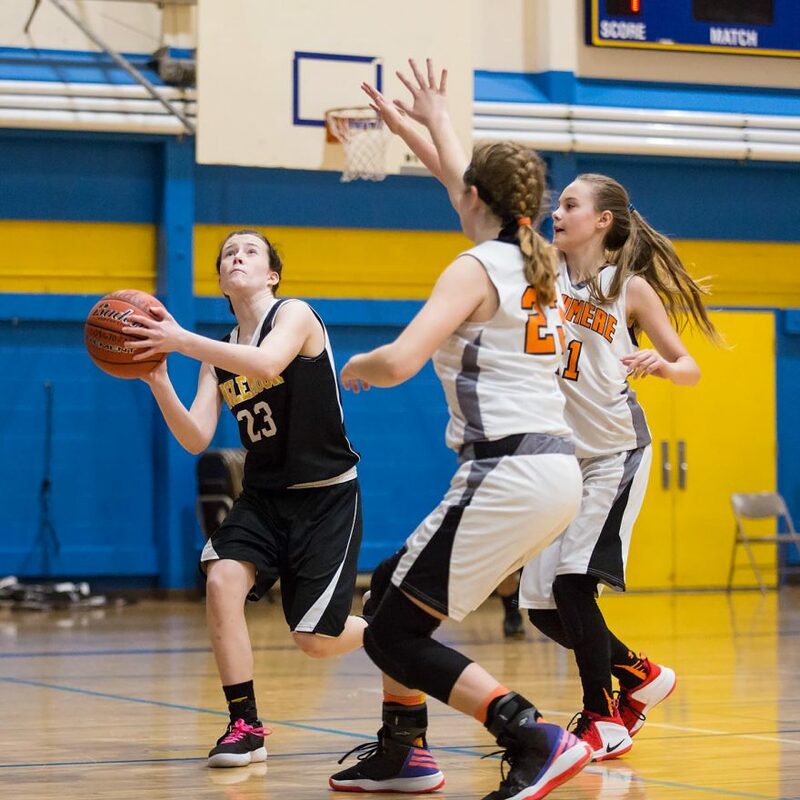 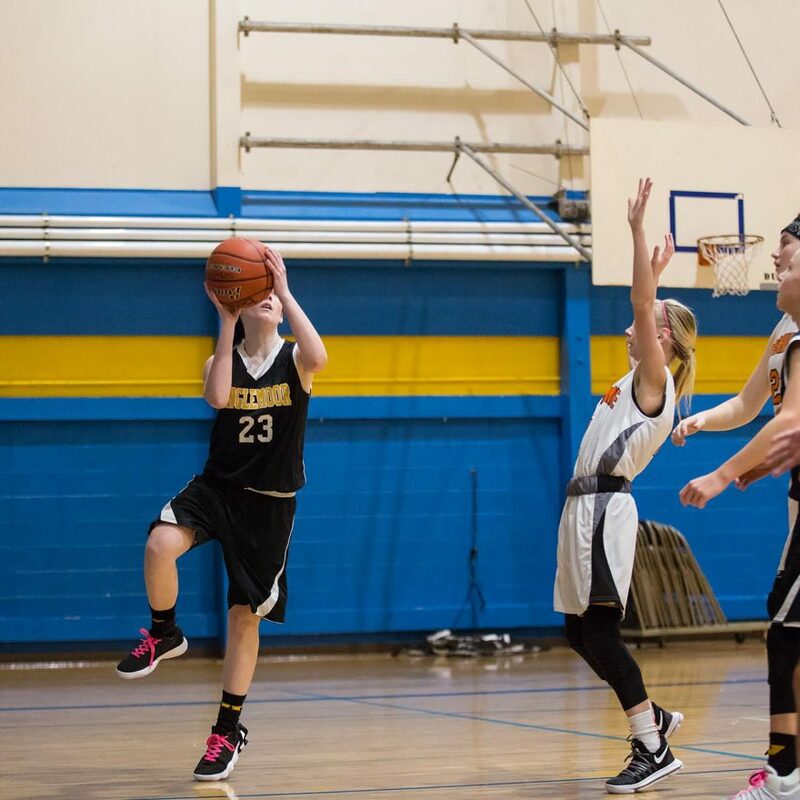 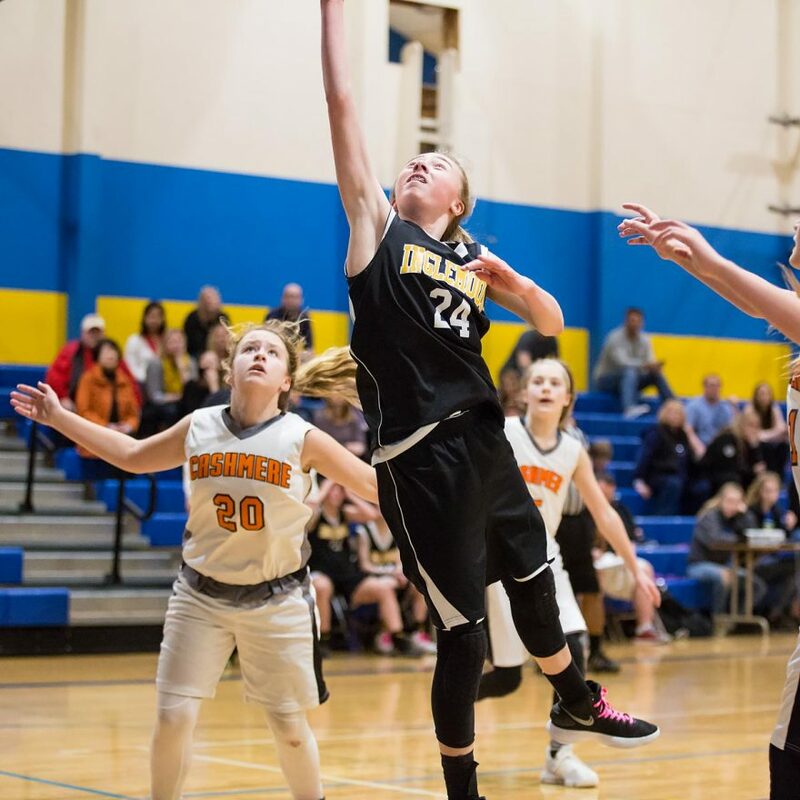 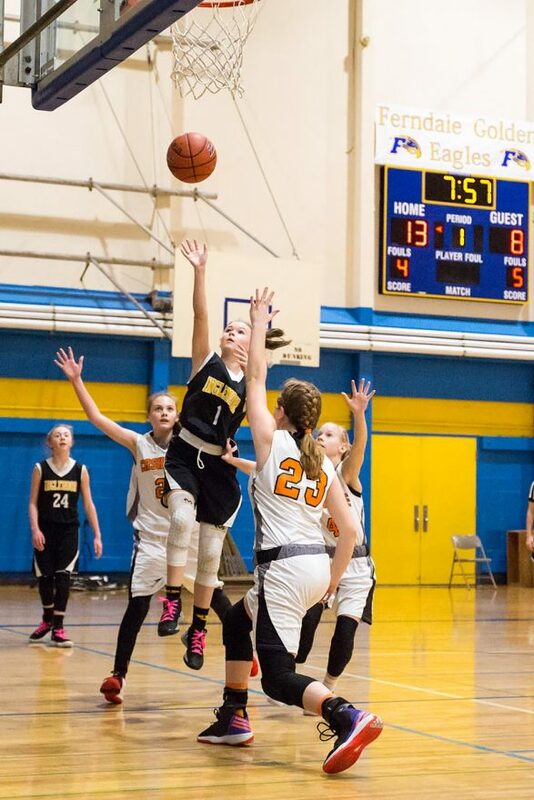 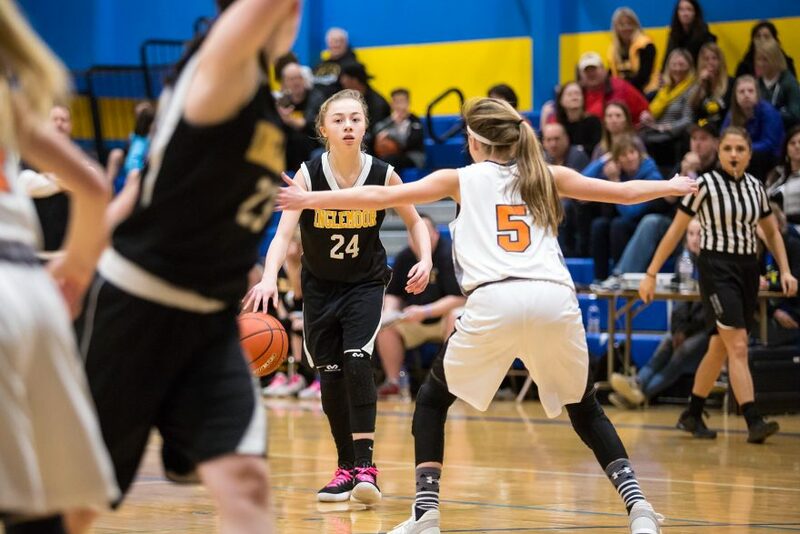 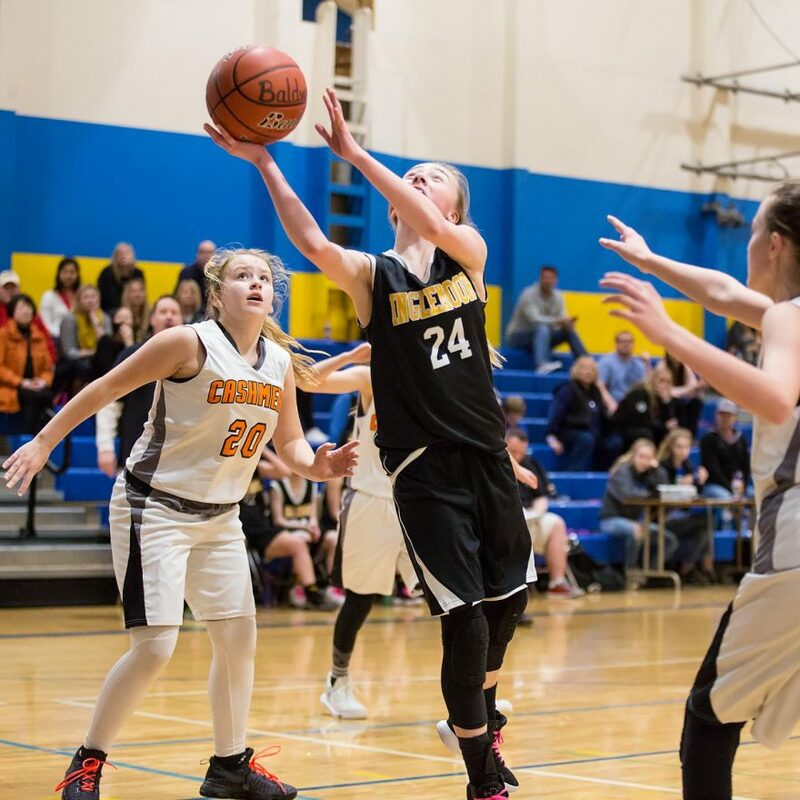 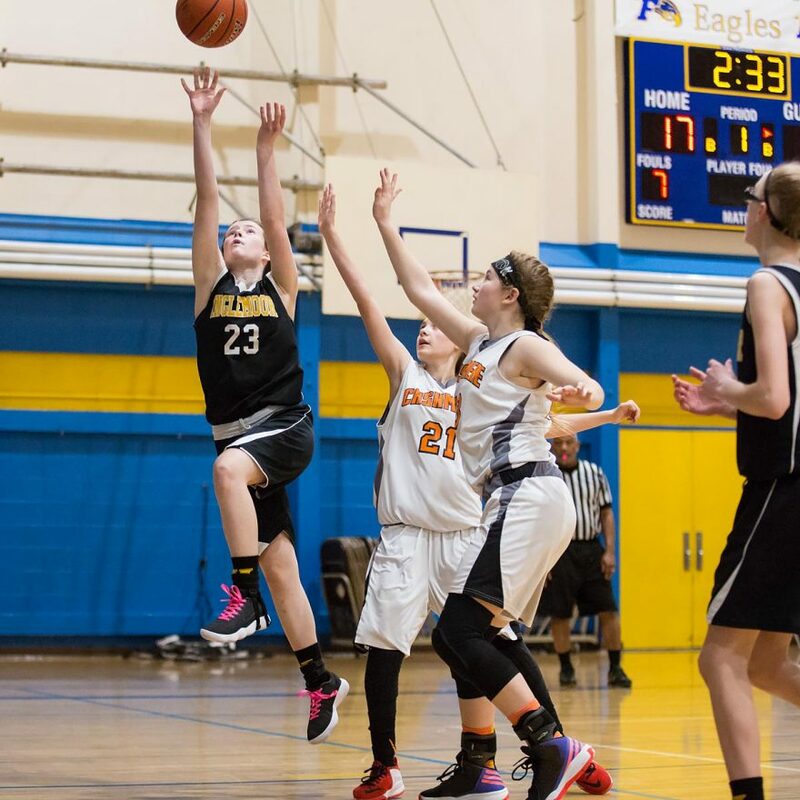 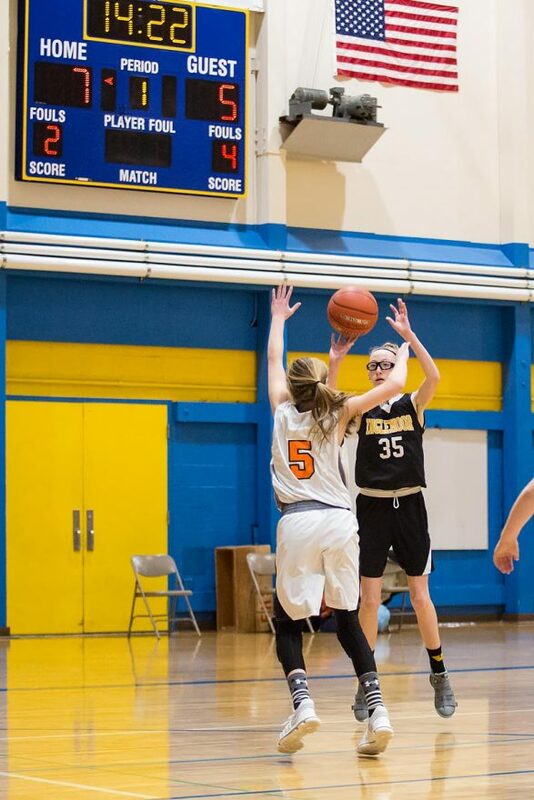 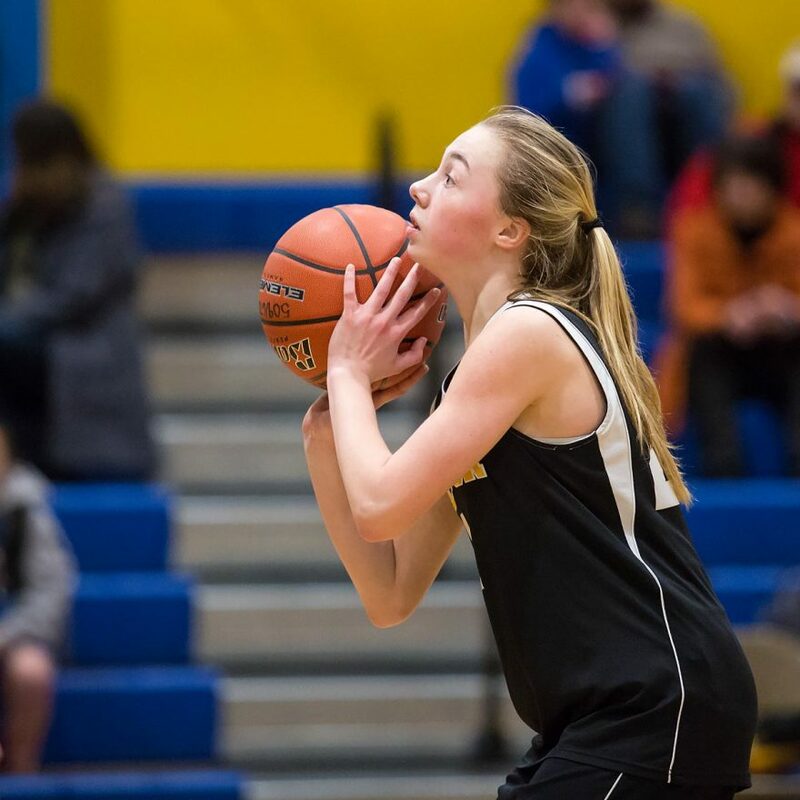 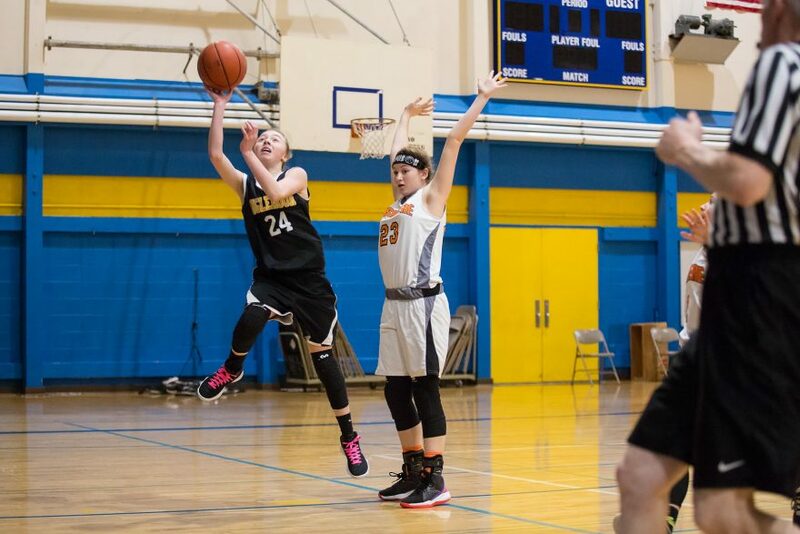 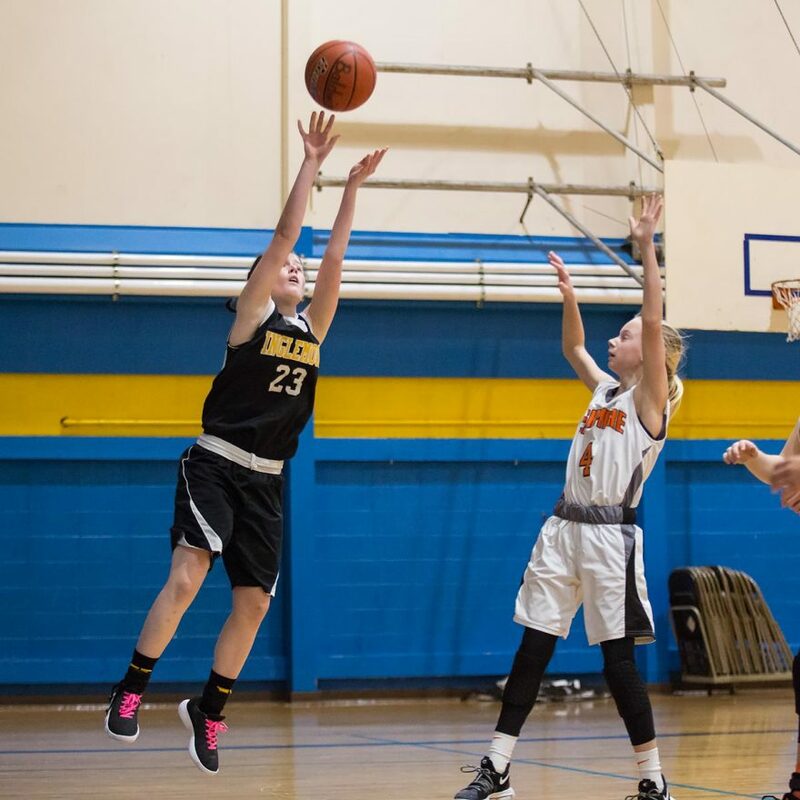 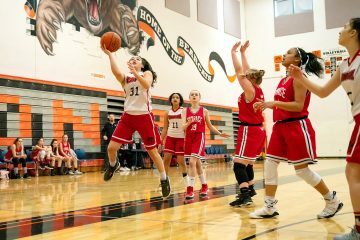 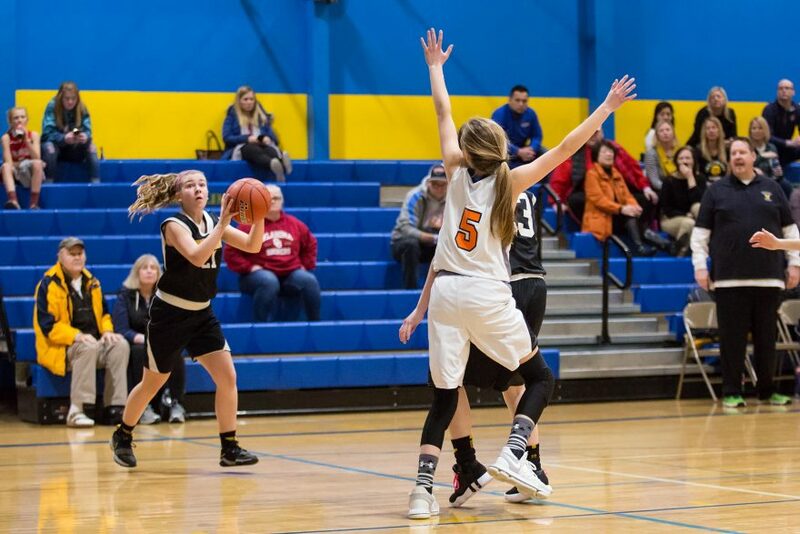 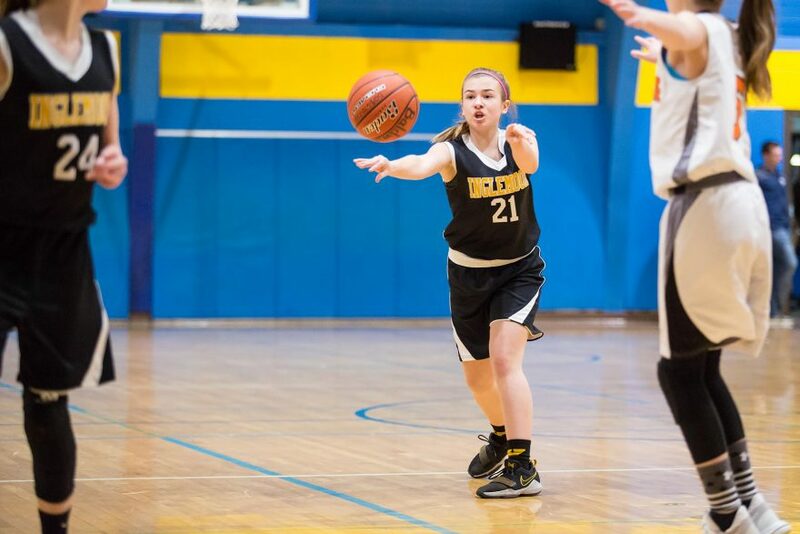 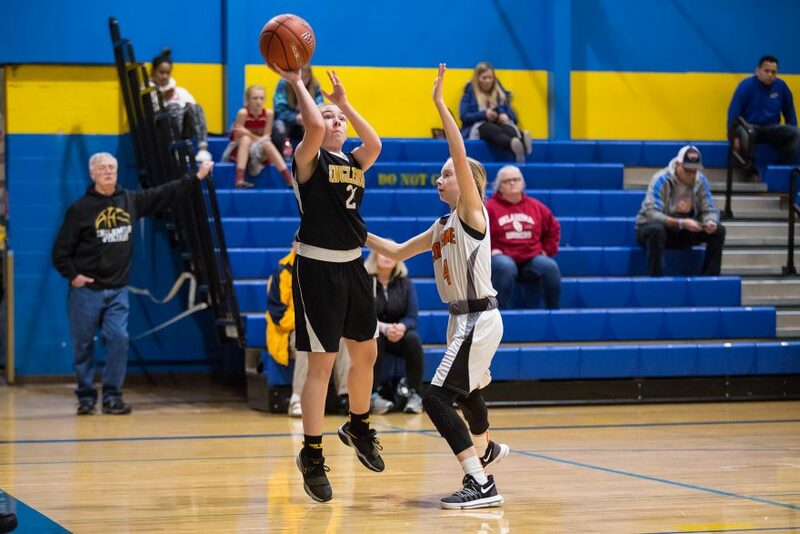 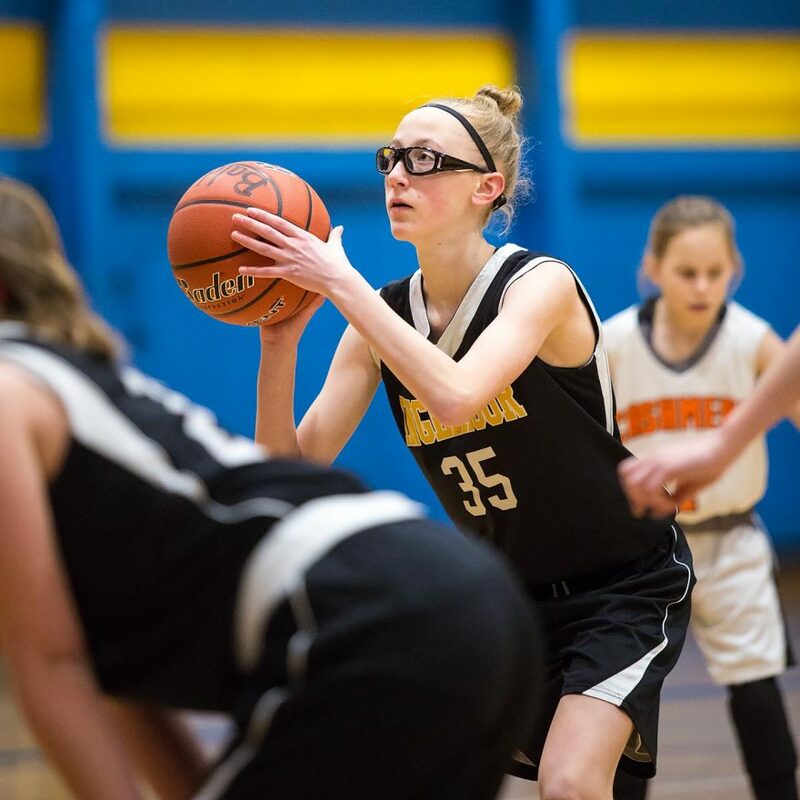 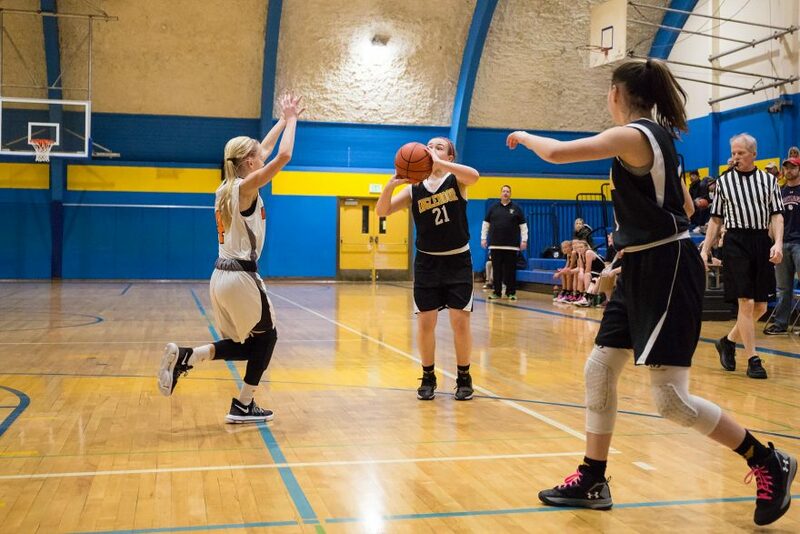 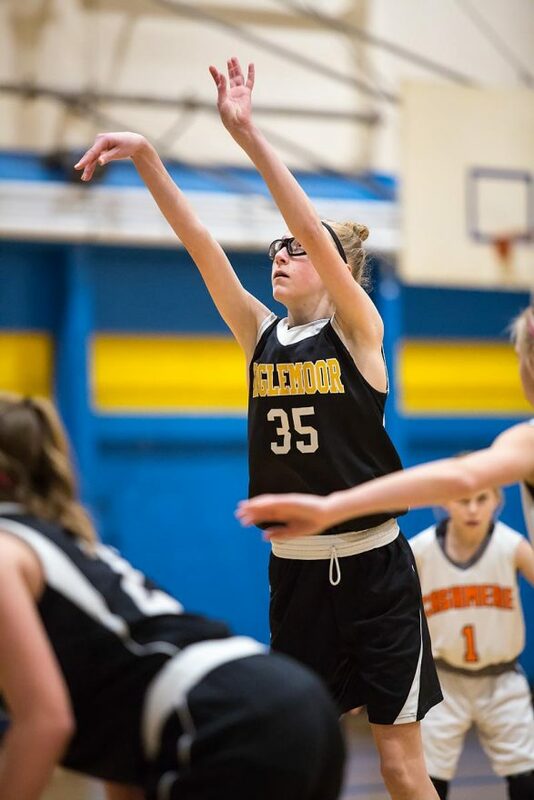 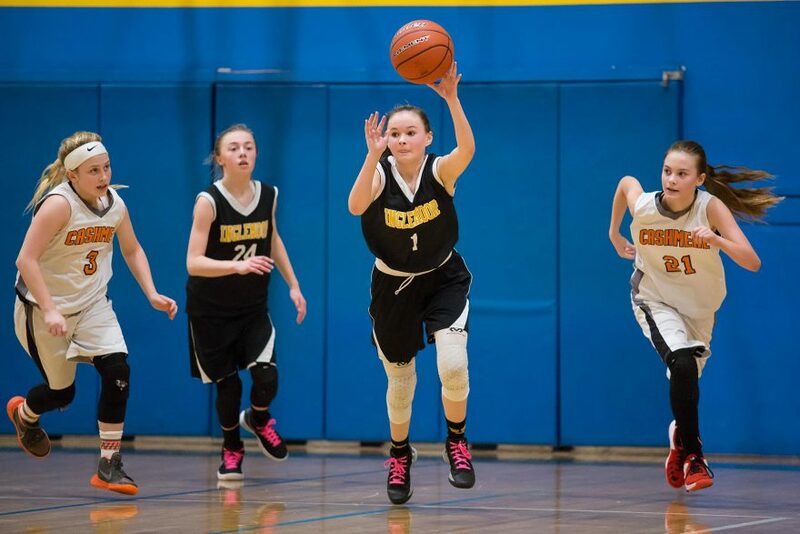 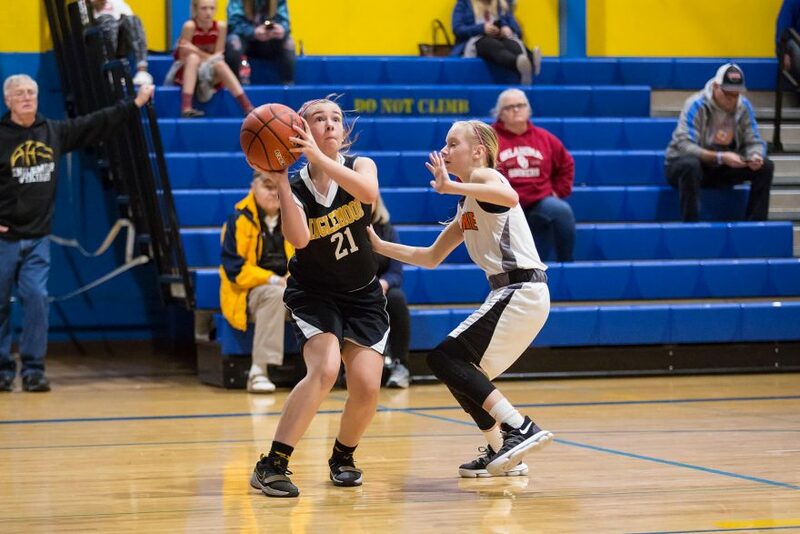 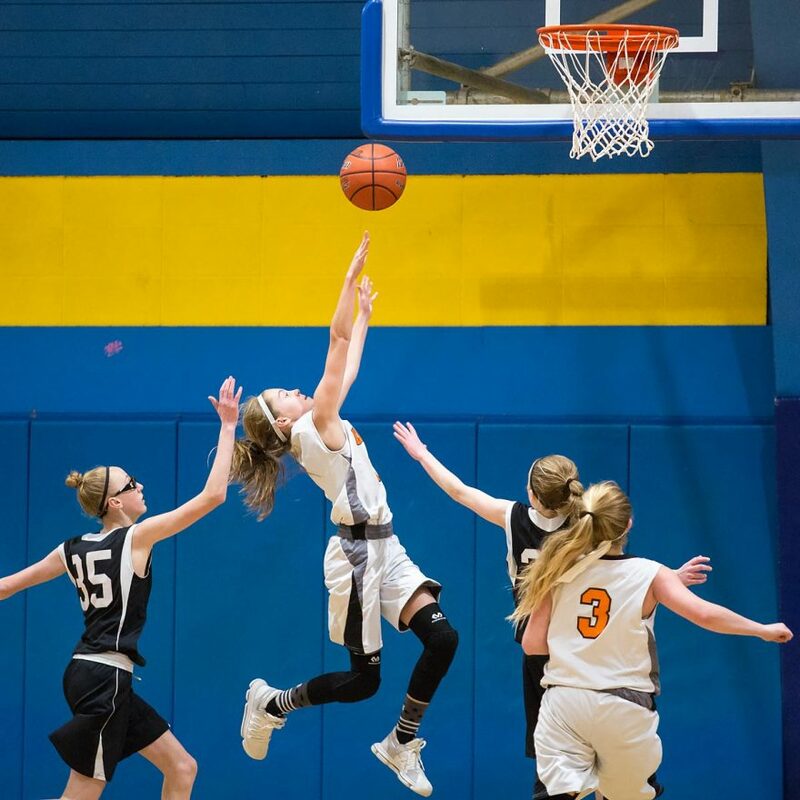 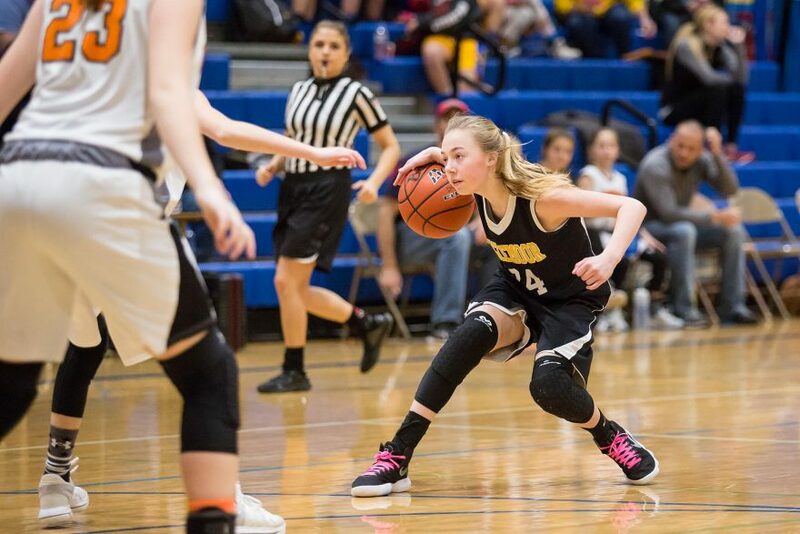 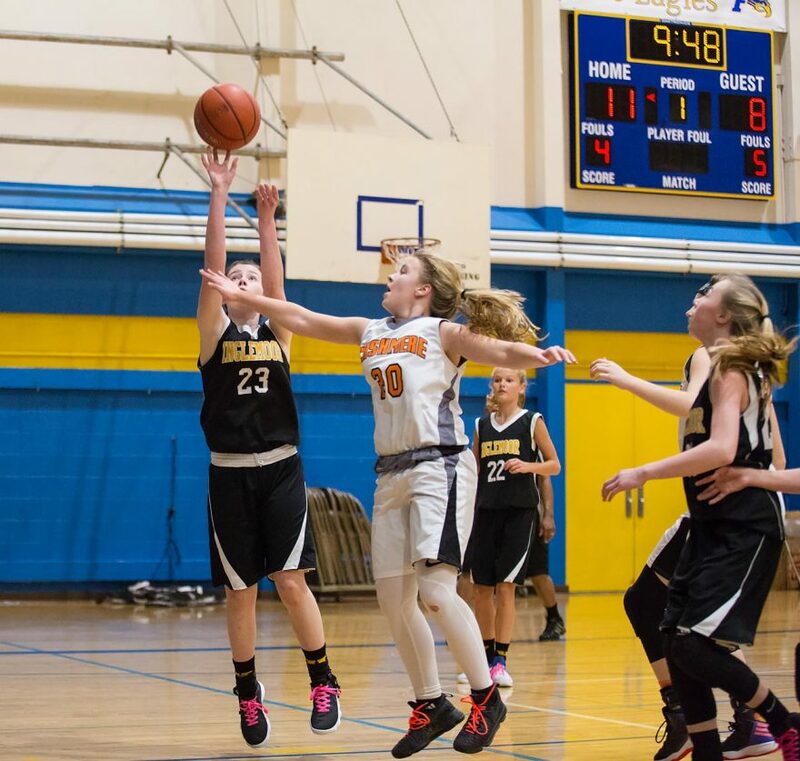 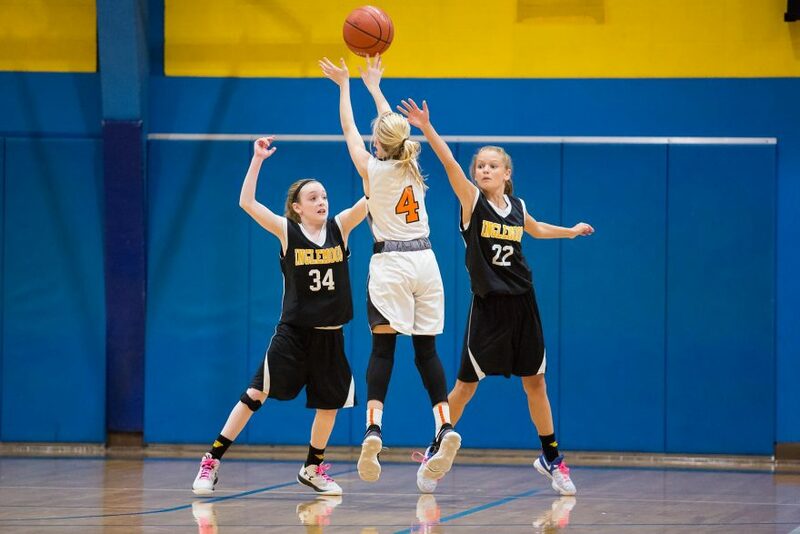 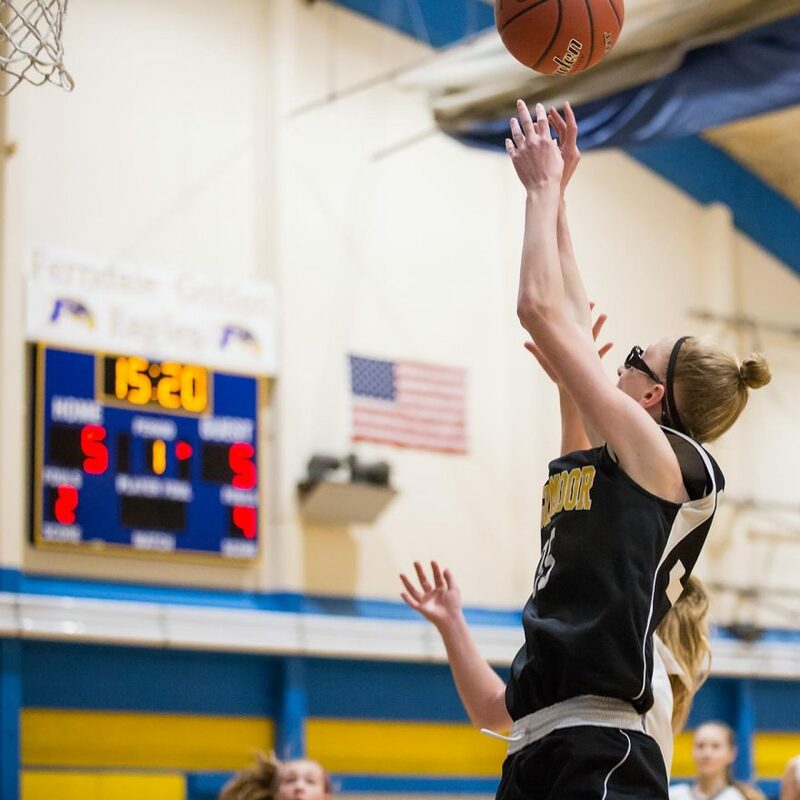 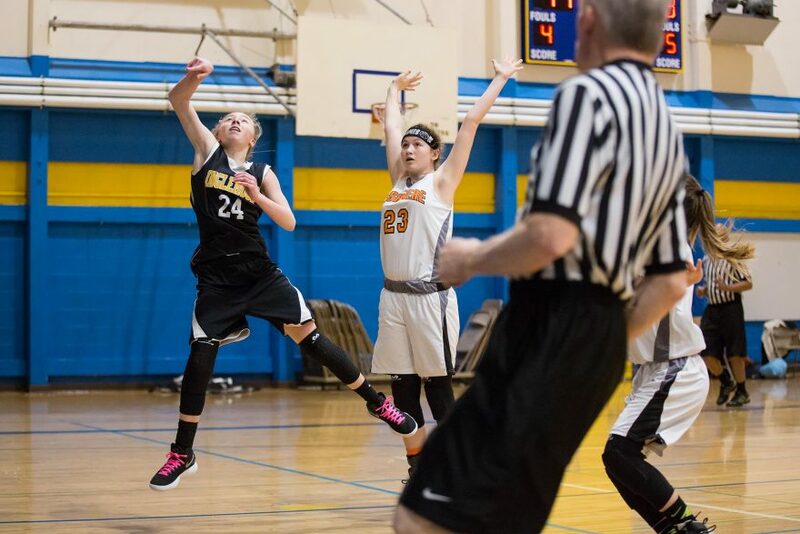 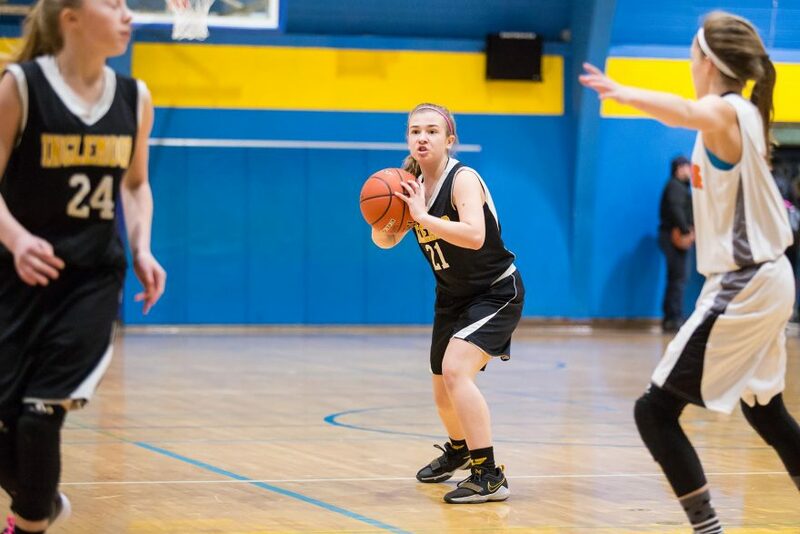 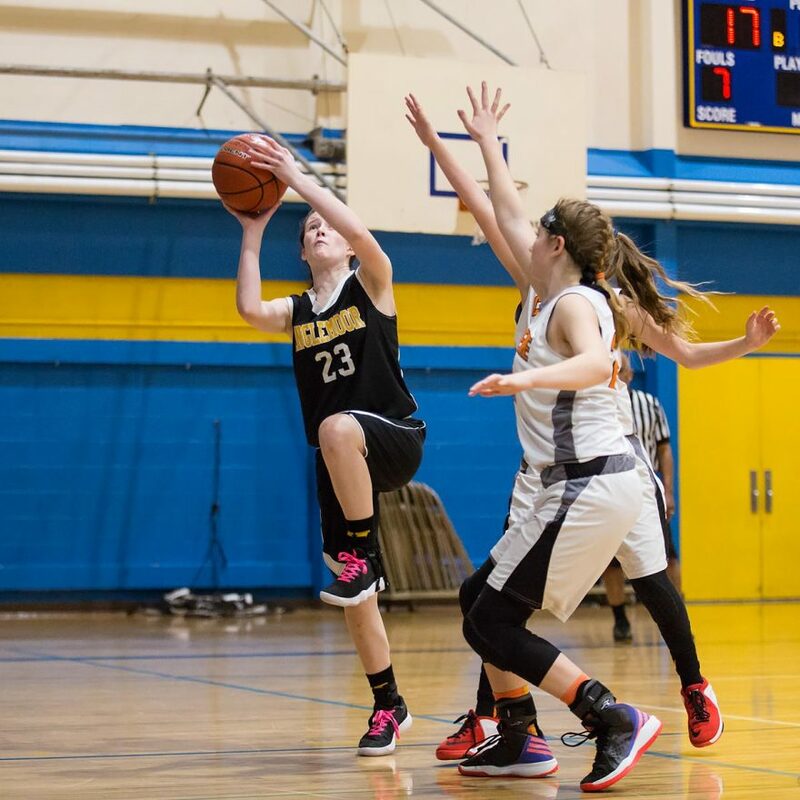 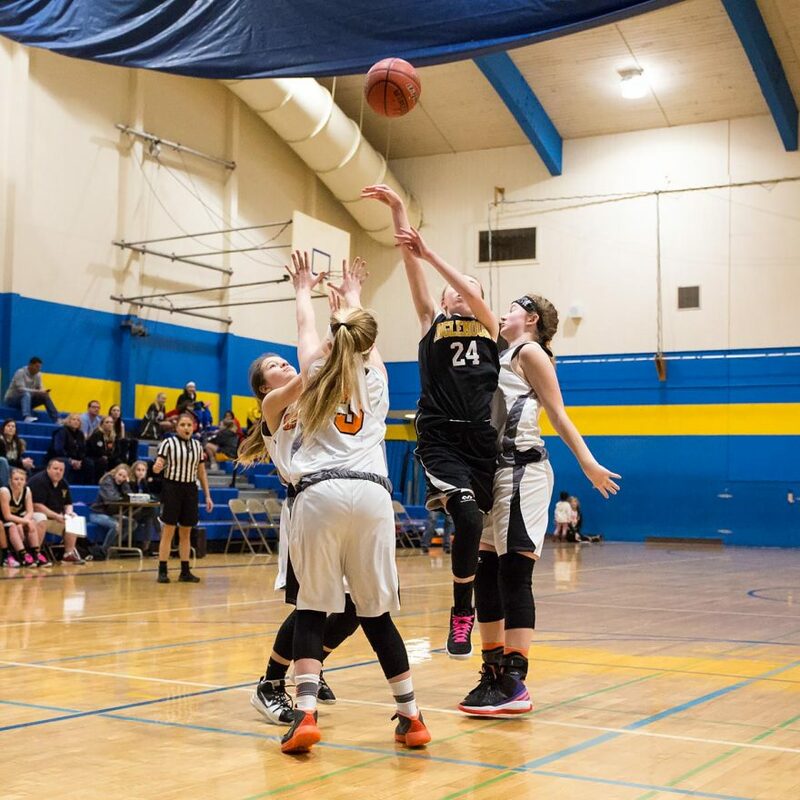 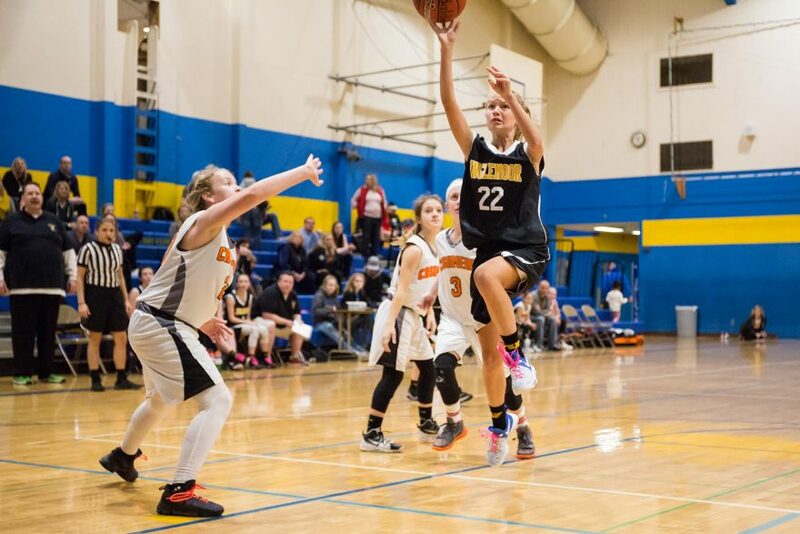 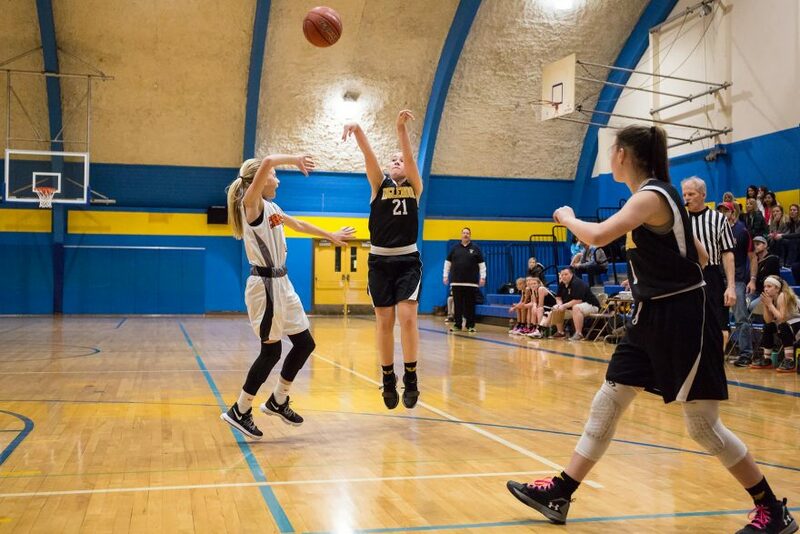 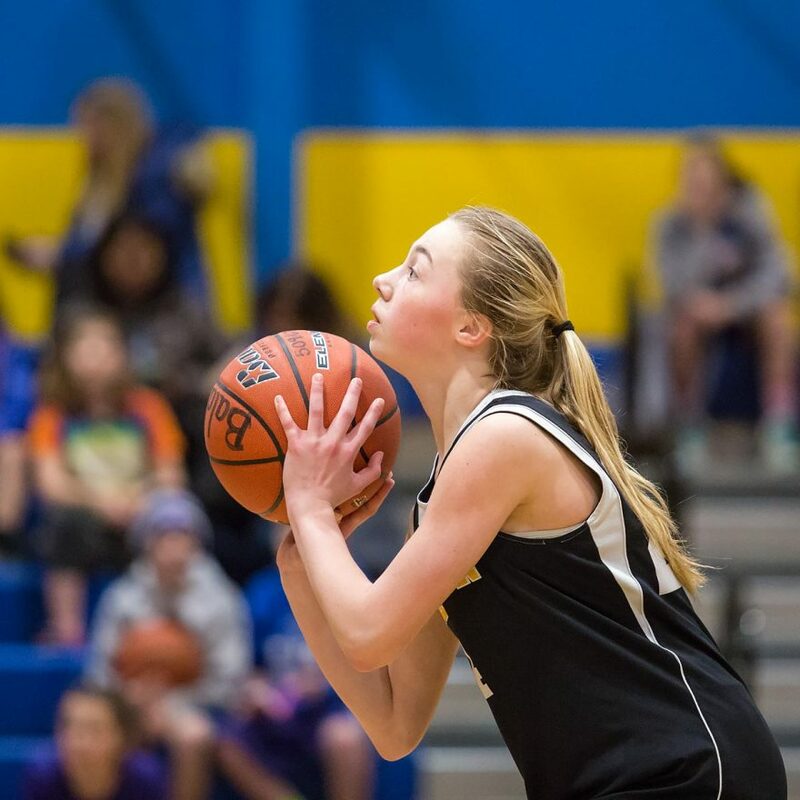 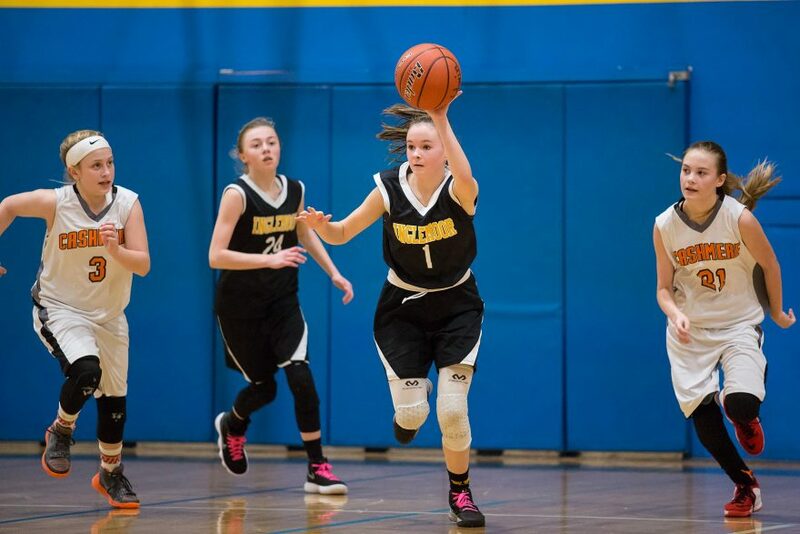 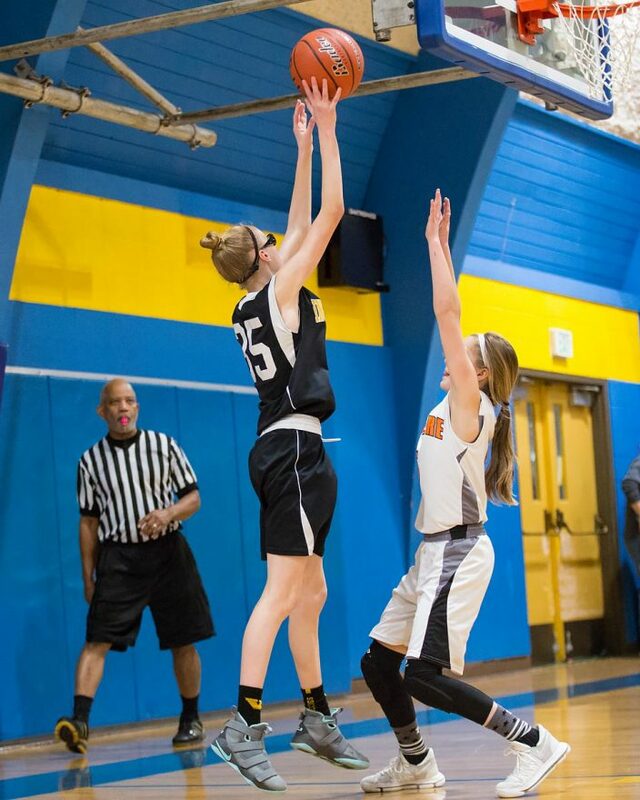 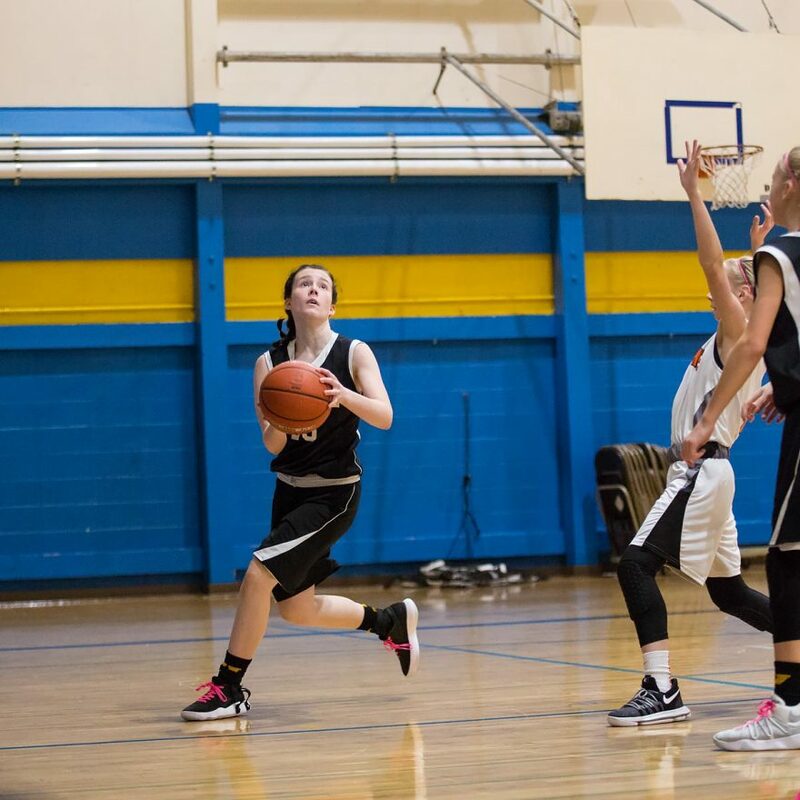 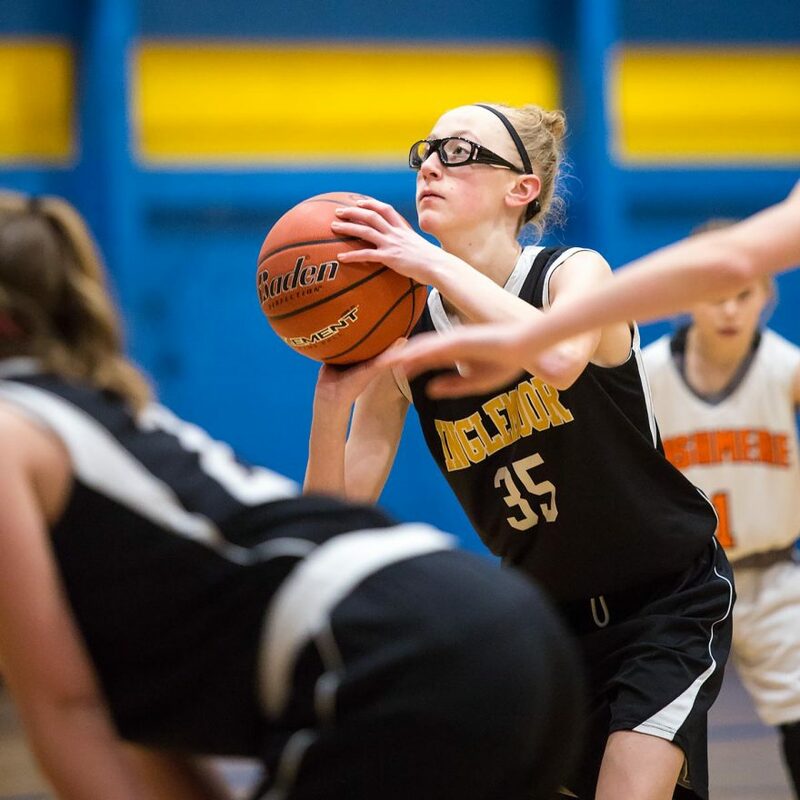 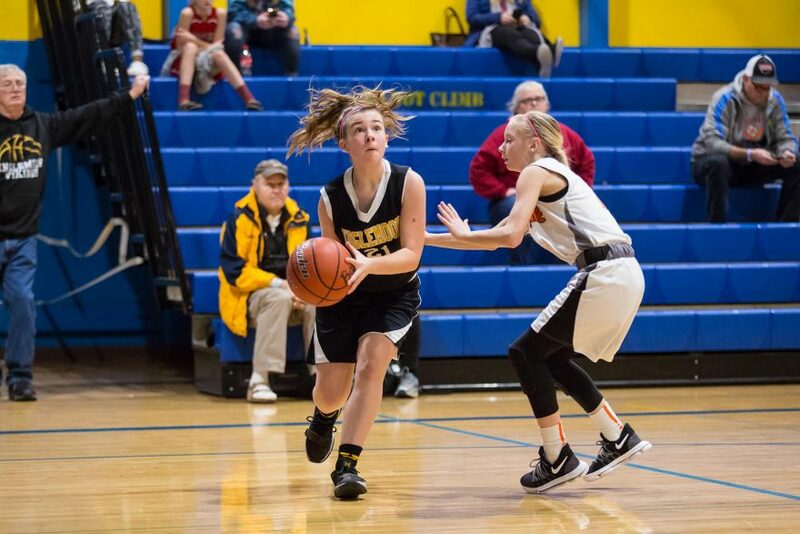 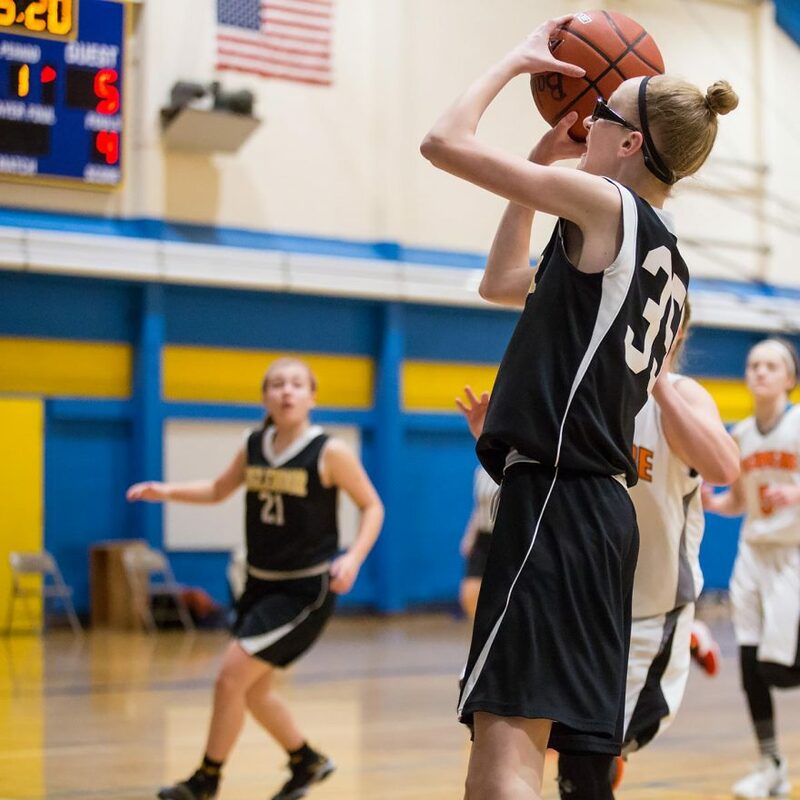 Cashmere didn’t give up, though, and while Inglemoor slipped into a rut with minimal ball movement, Cashmere stormed back to a two-shot differential at 19-23. 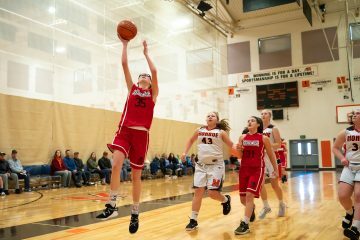 Following a trip to the free-throw line, the Vikings slowed the game down and hit an 18-footer, and at 19-27 it looked again as though the game might be in the bag. 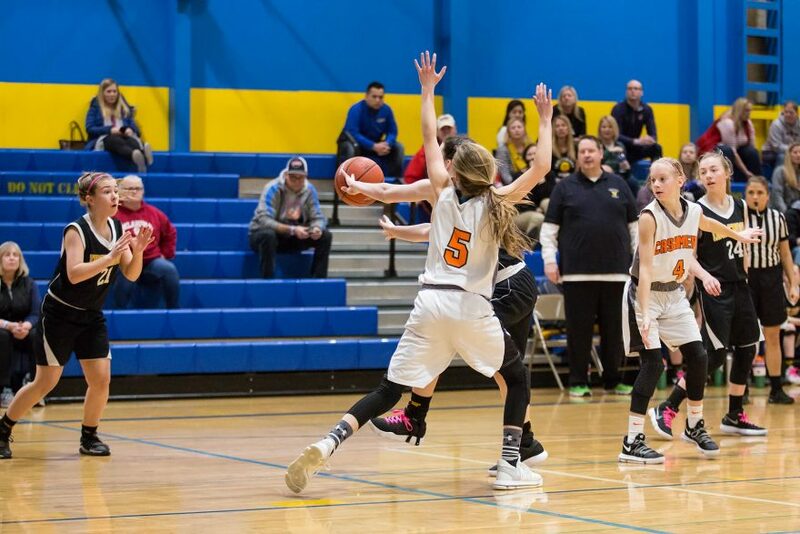 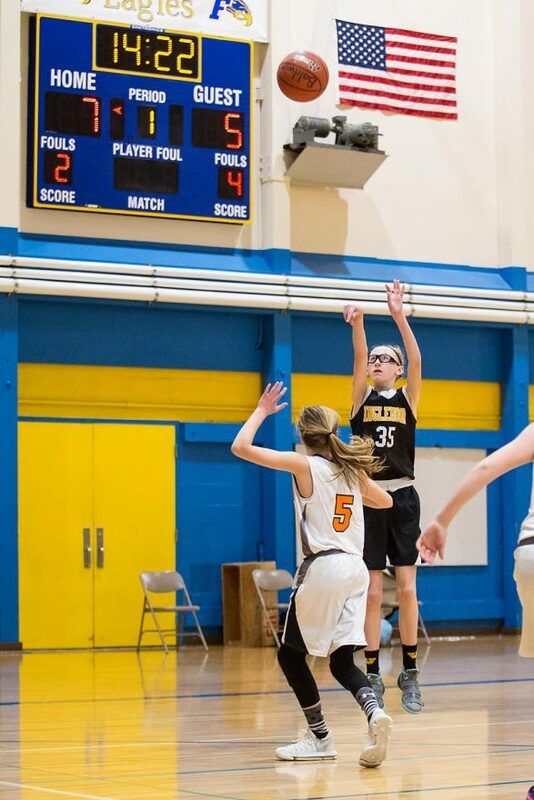 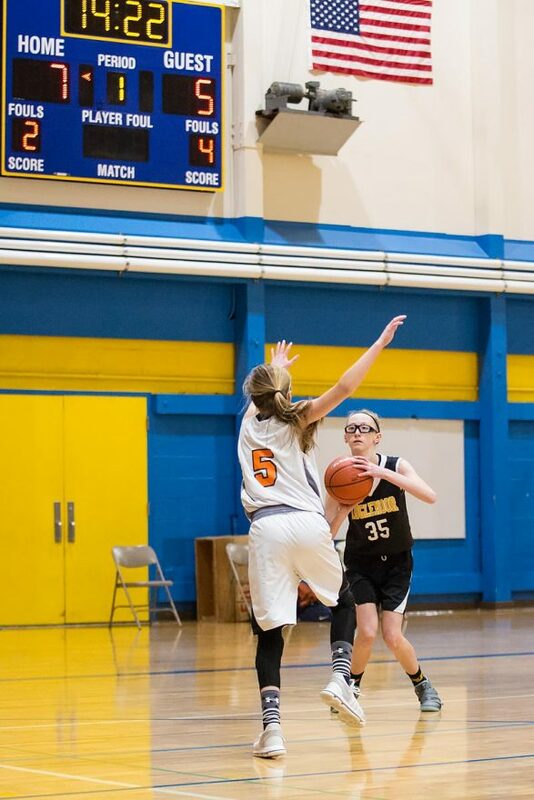 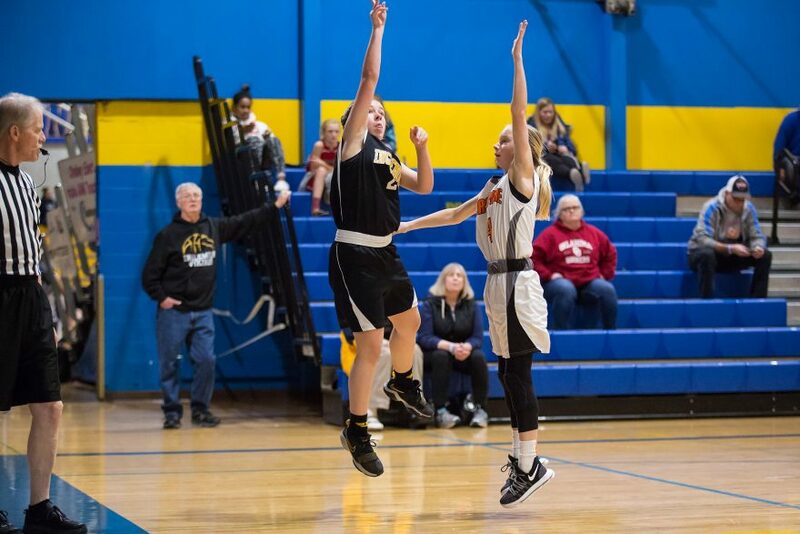 But Cashmere’s #4 immediately responded with her own 3-pointer to halt the momentum (eventually this was ruled a 2-pointer and a point was deducted). 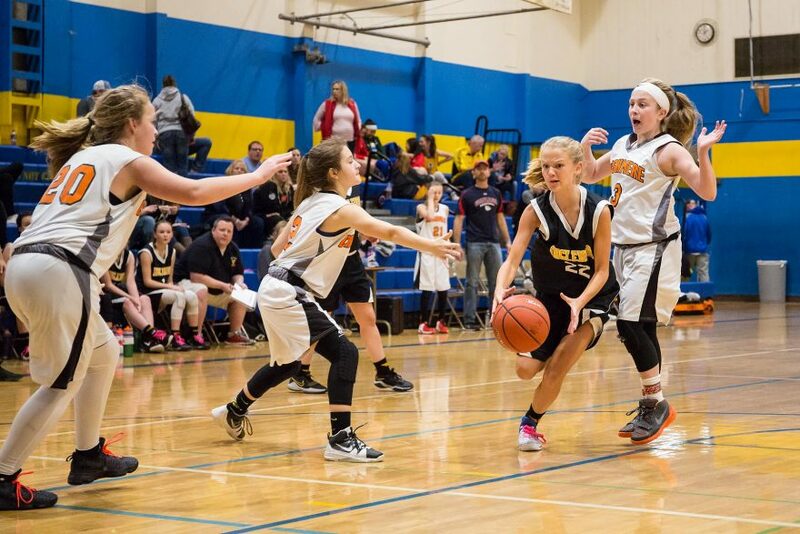 With three minutes left in the game, both teams turned up the heat. 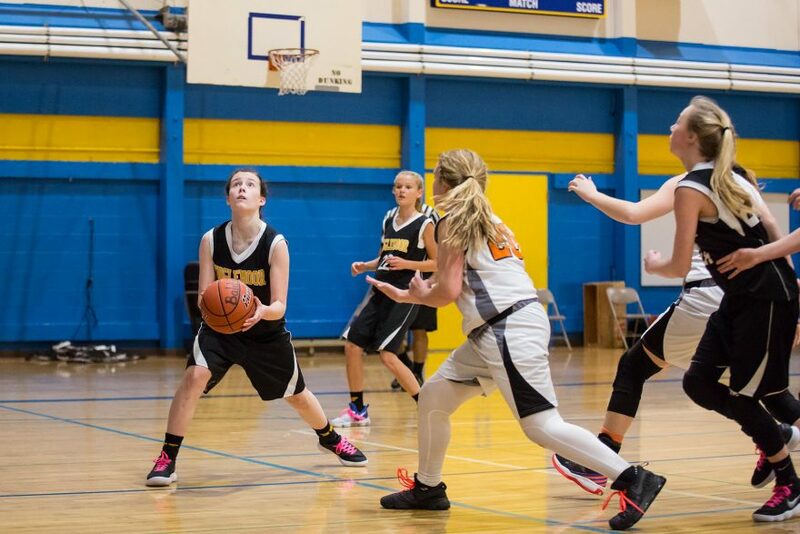 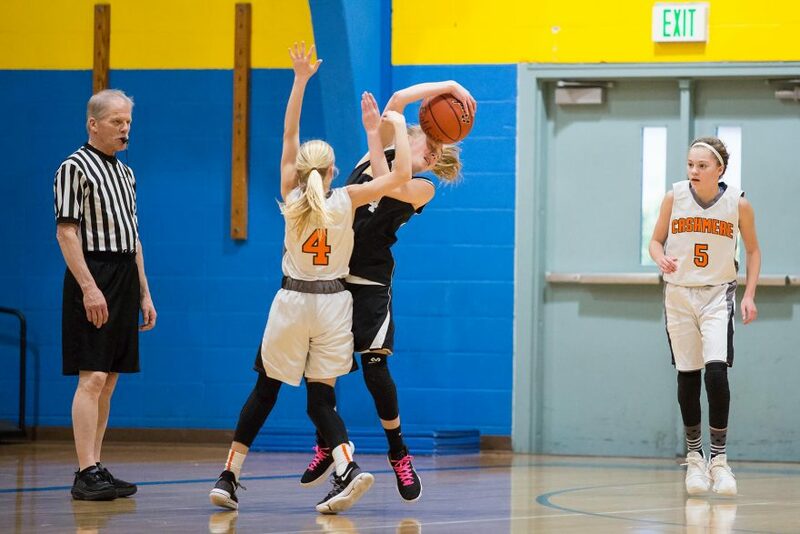 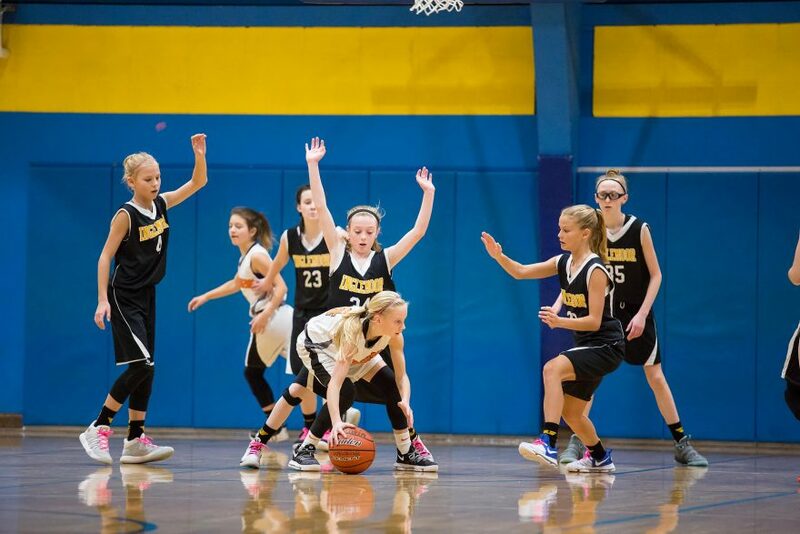 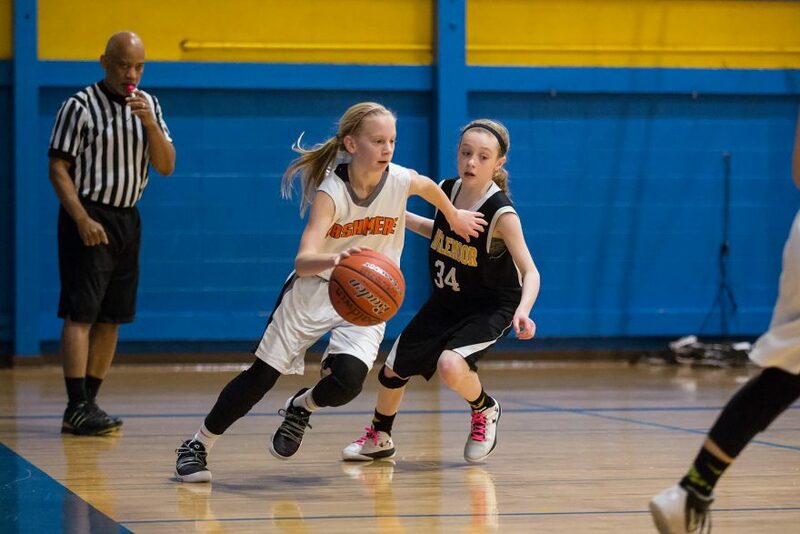 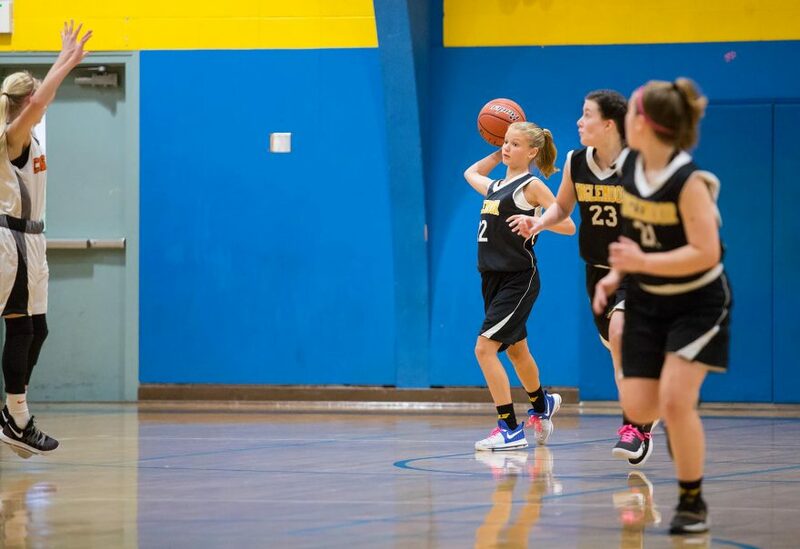 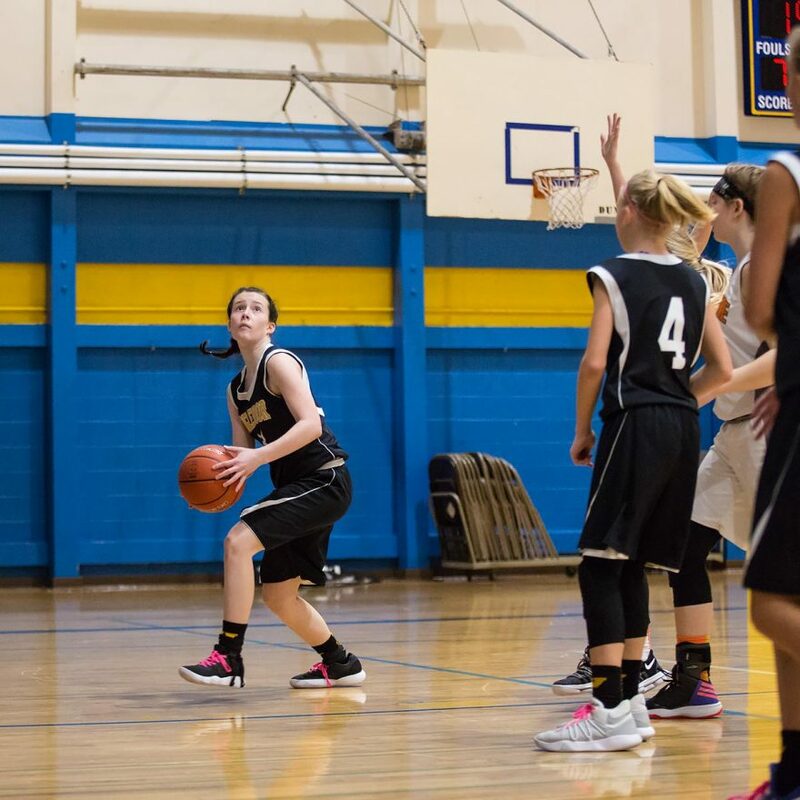 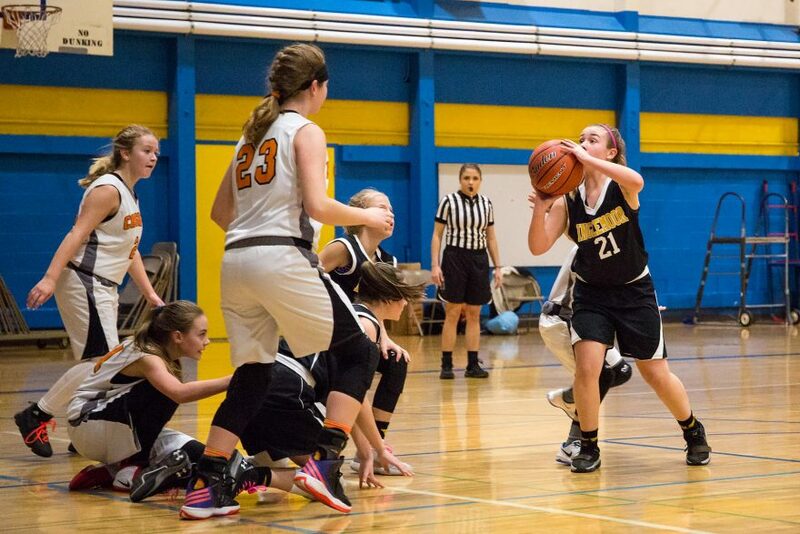 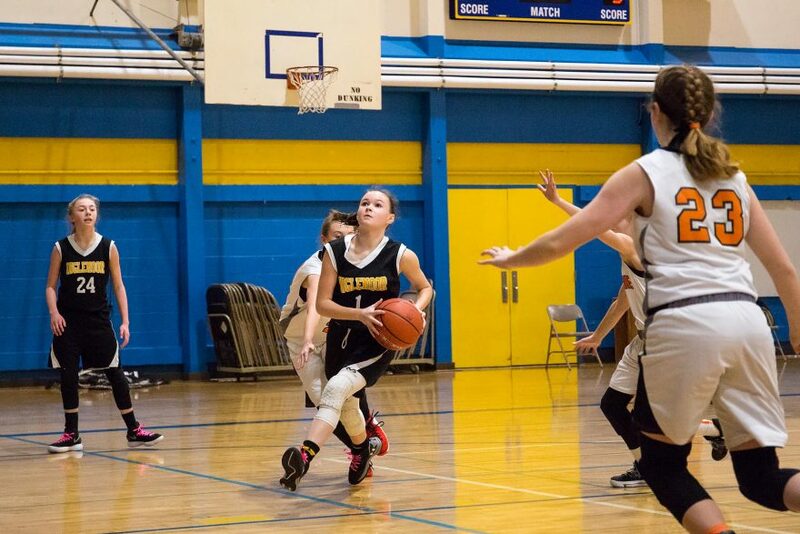 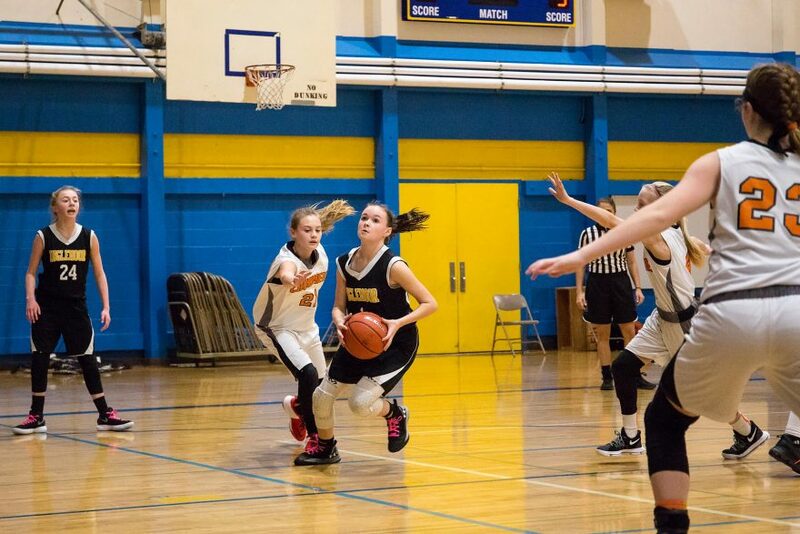 This led to numerous visits to the free throw line. 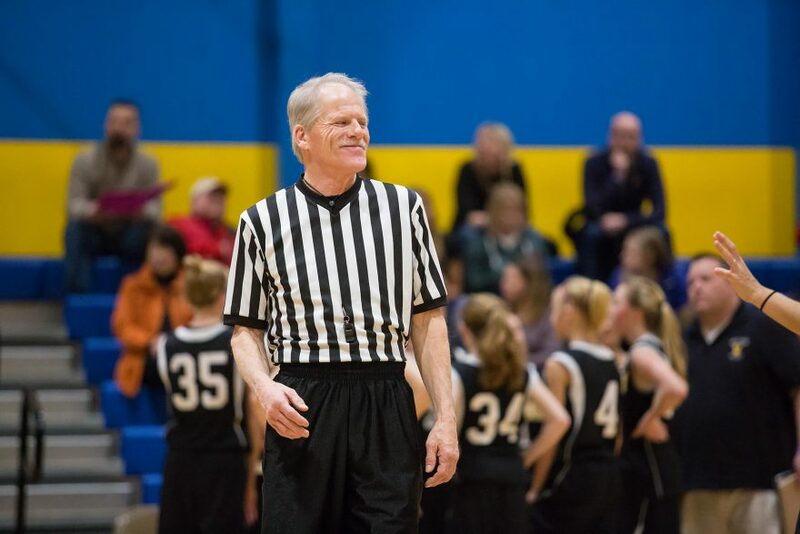 The Vikings hit one to bring the score to 21-28, then another a minute later, and another on the next possession. 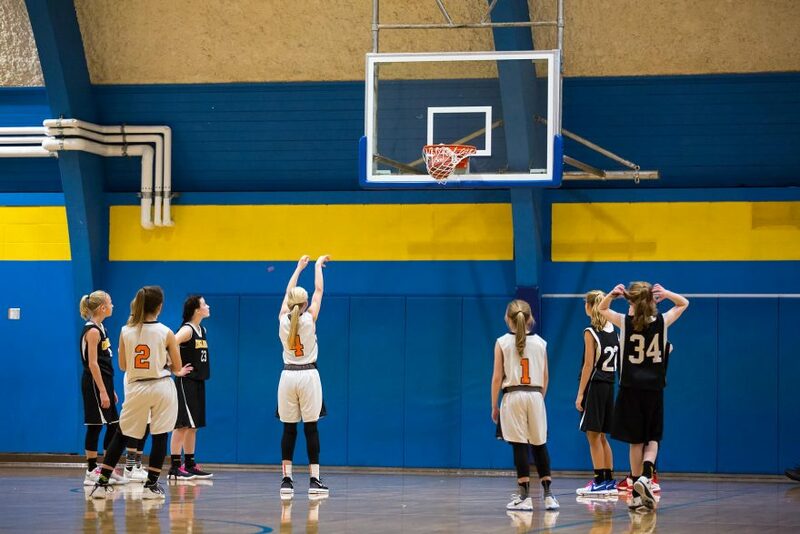 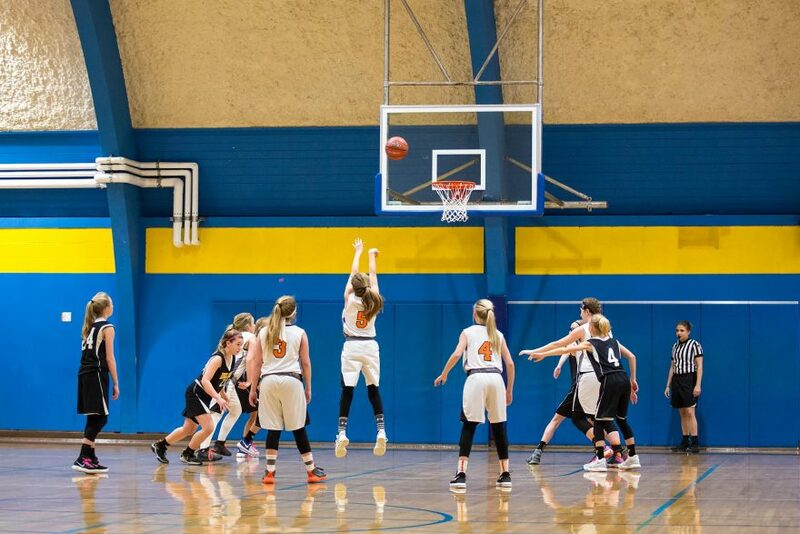 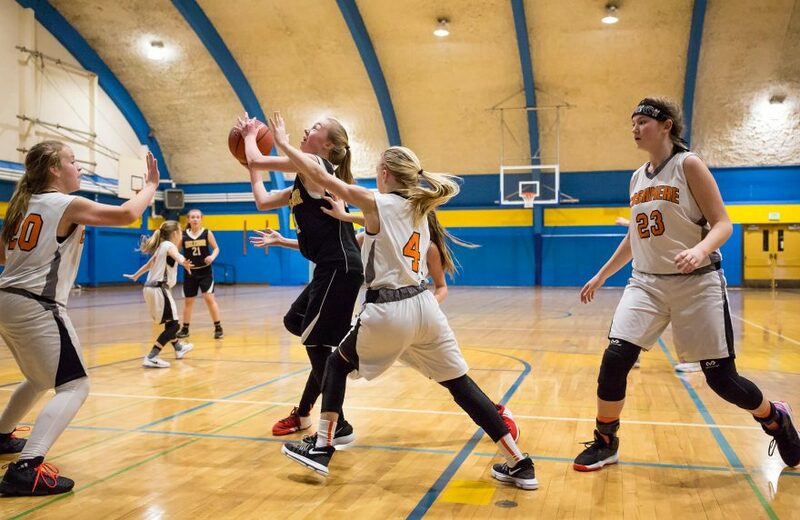 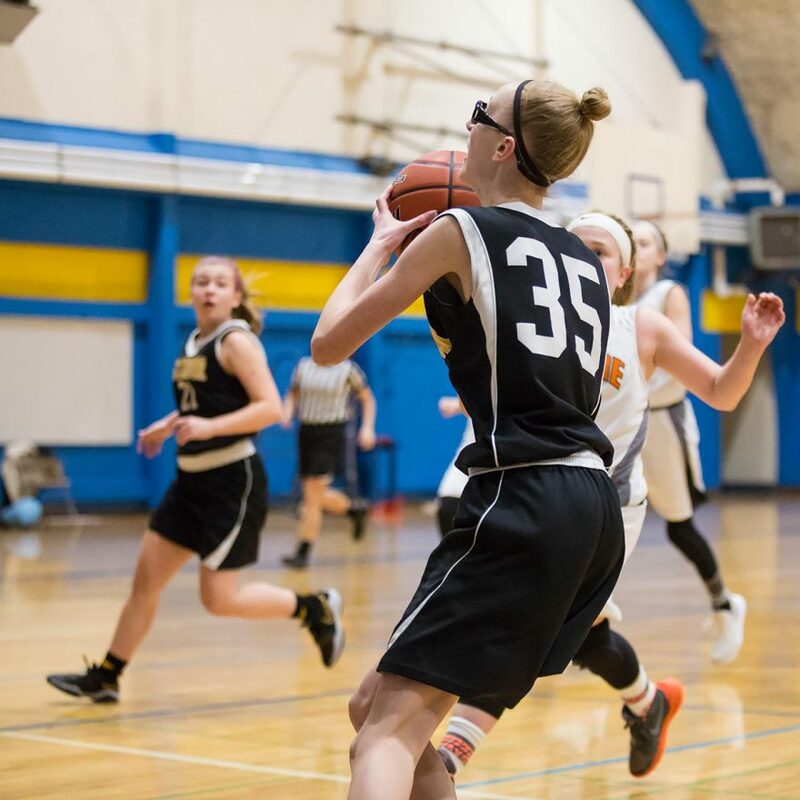 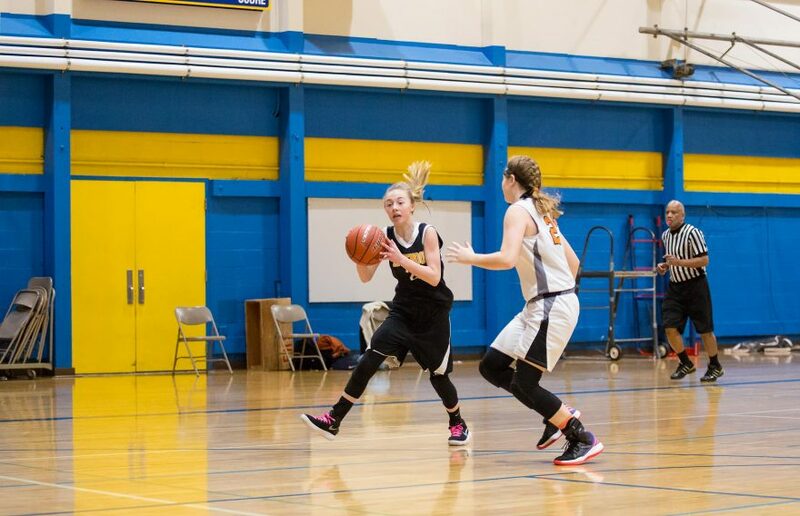 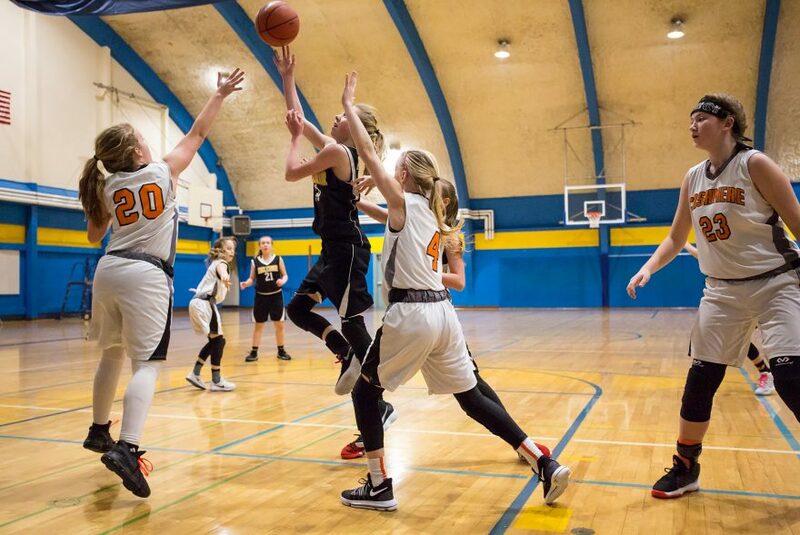 With a score of 21-30 and 1.1 seconds left in the game, Cashmere stepped up to the foul line and hit both shots, ending the game with a score of 23-30. 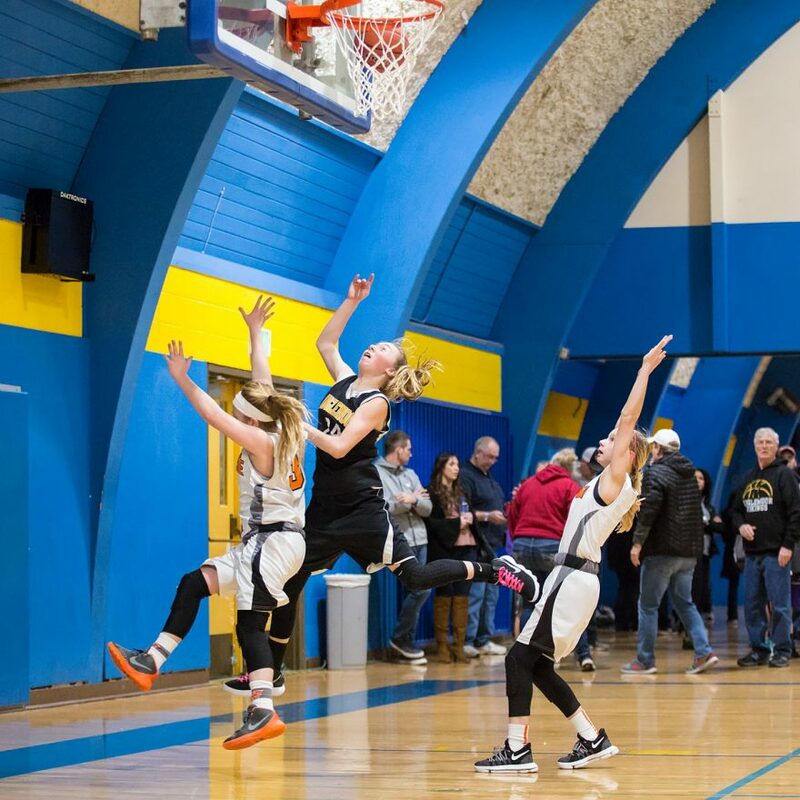 Inglemoor Vikings win.